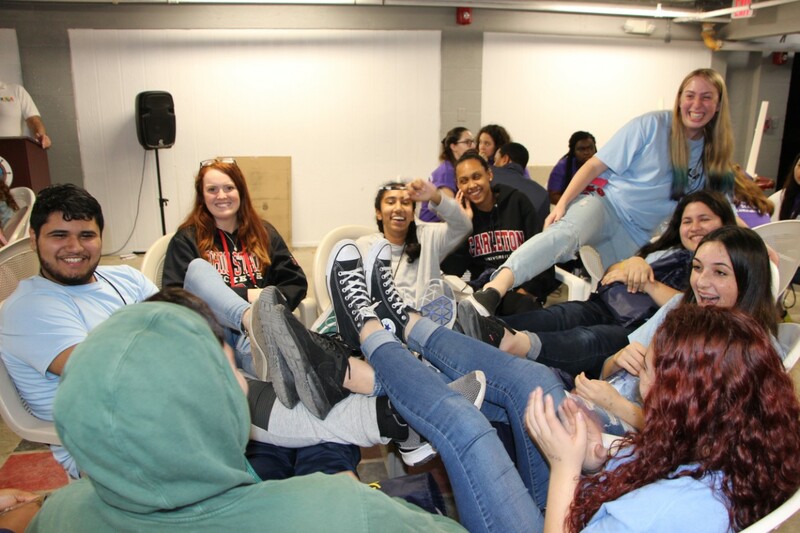 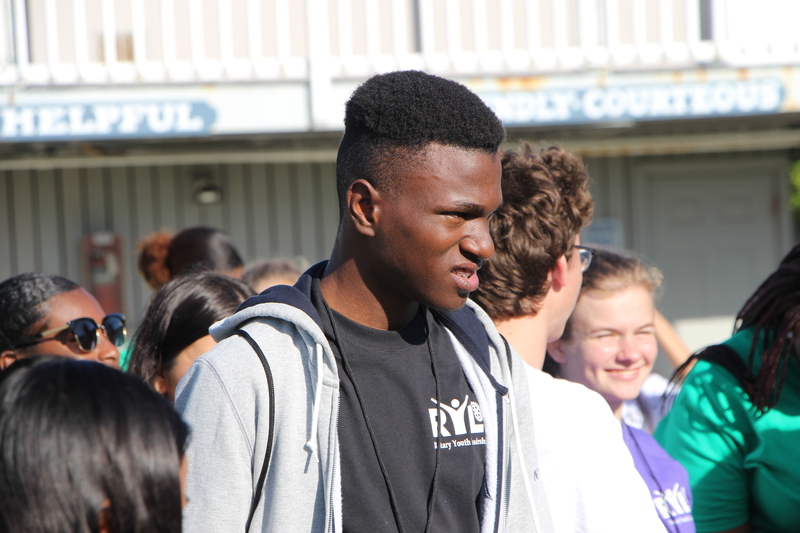 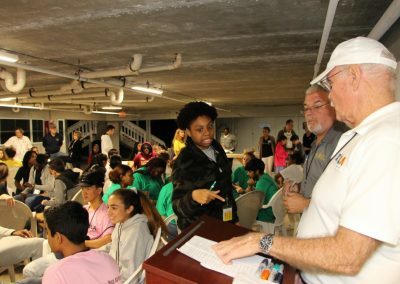 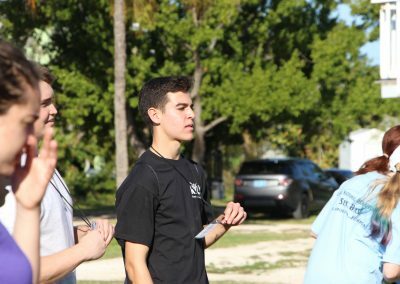 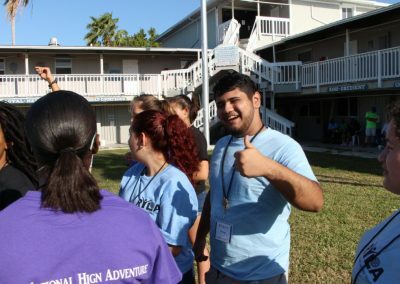 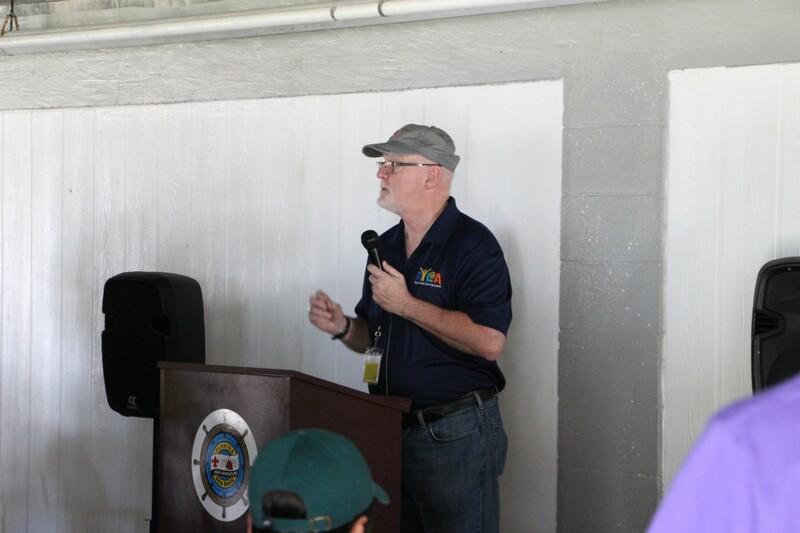 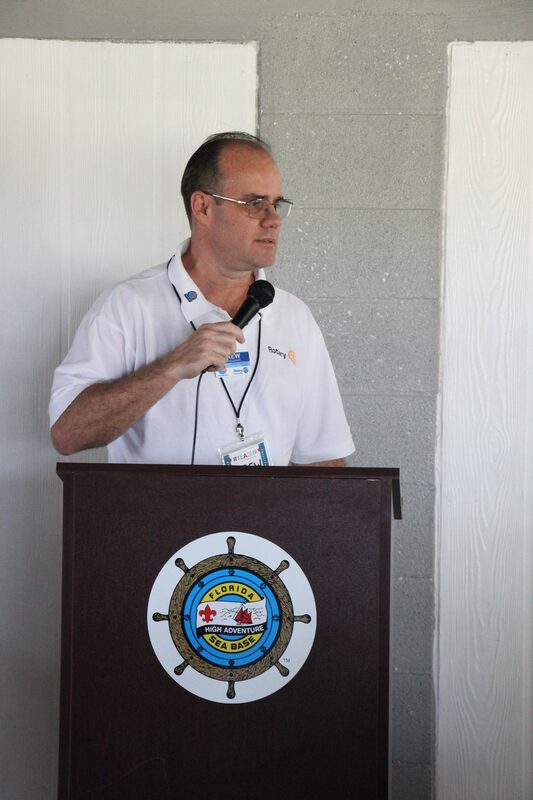 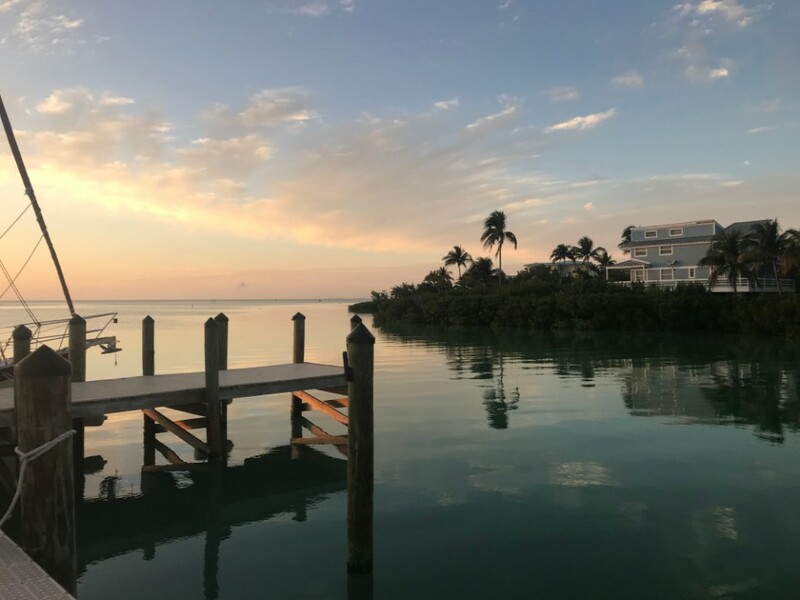 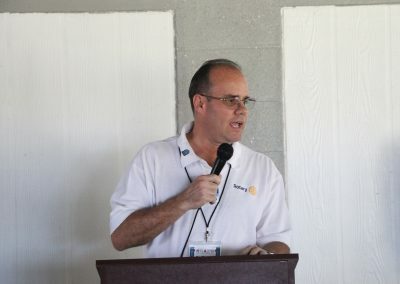 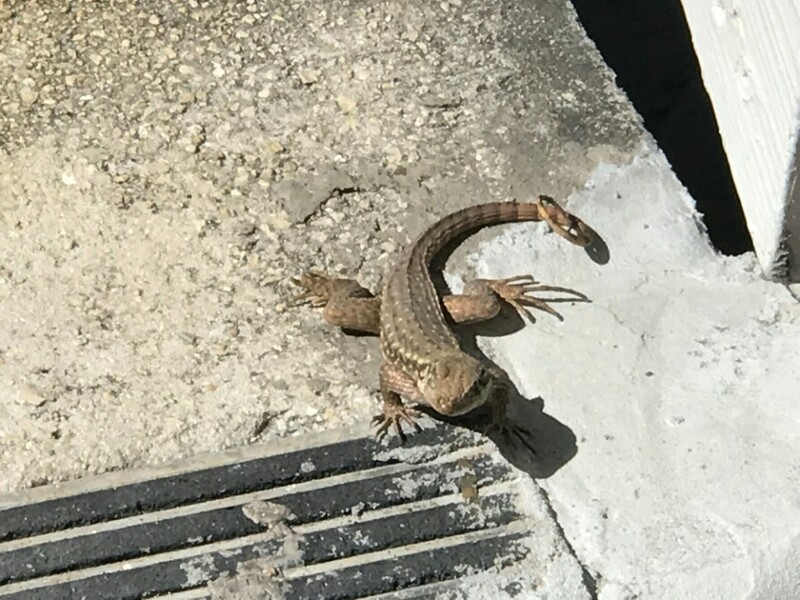 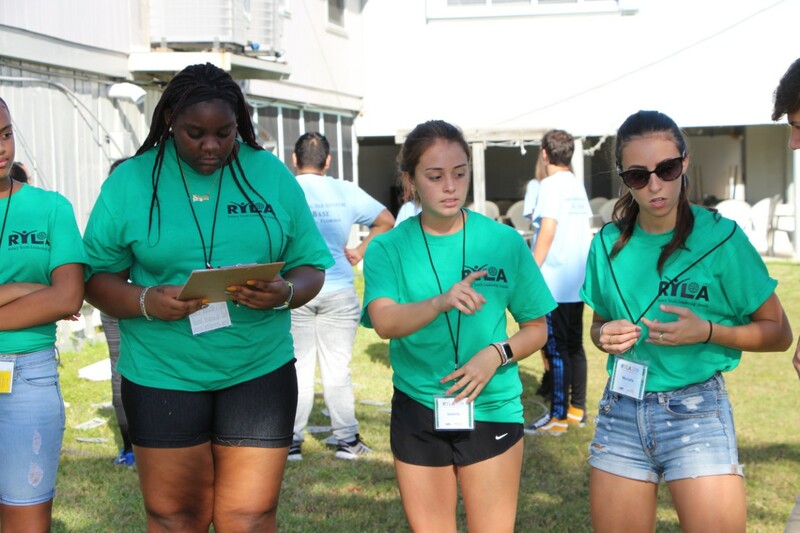 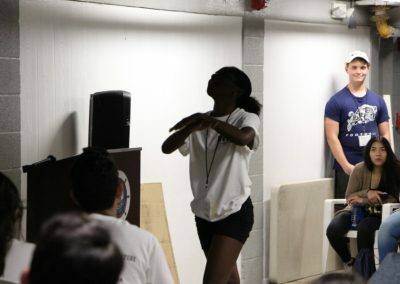 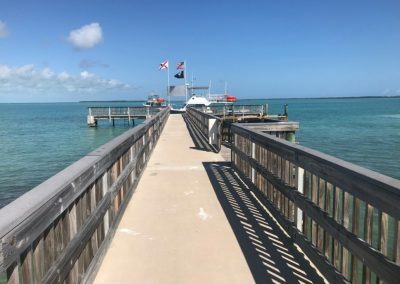 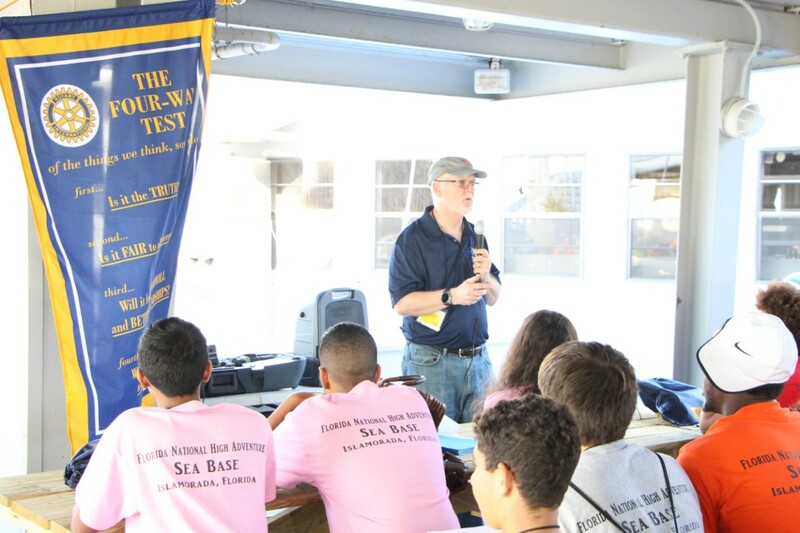 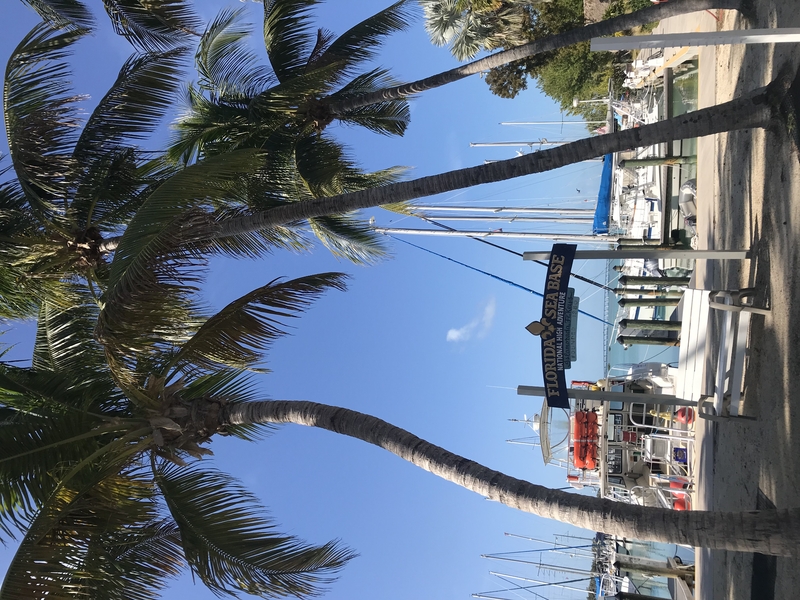 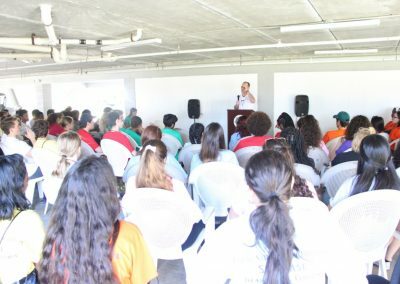 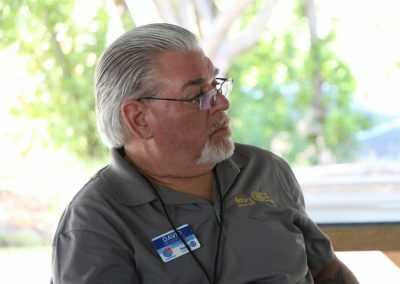 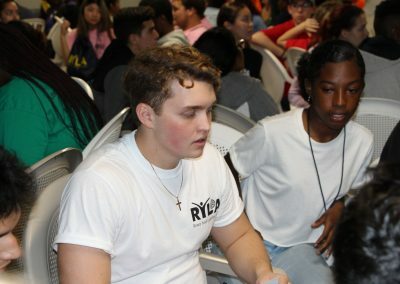 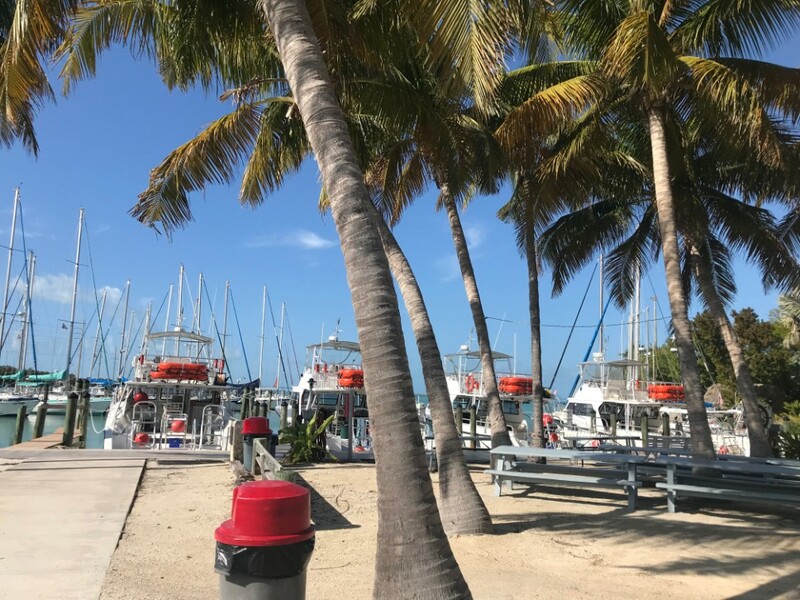 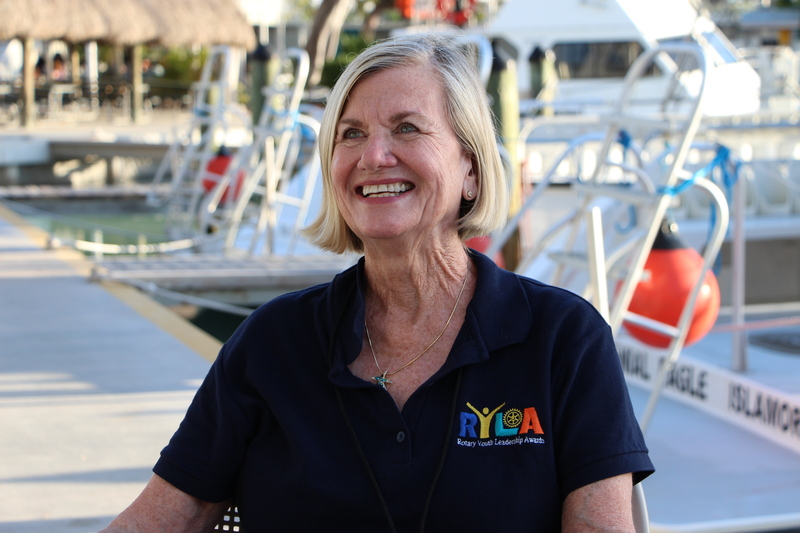 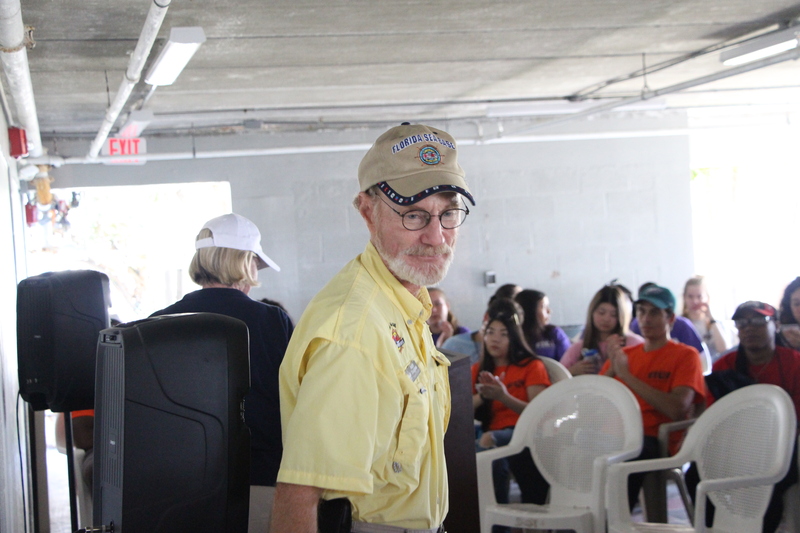 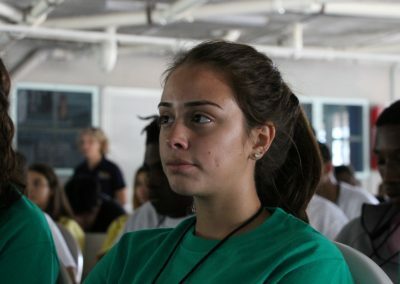 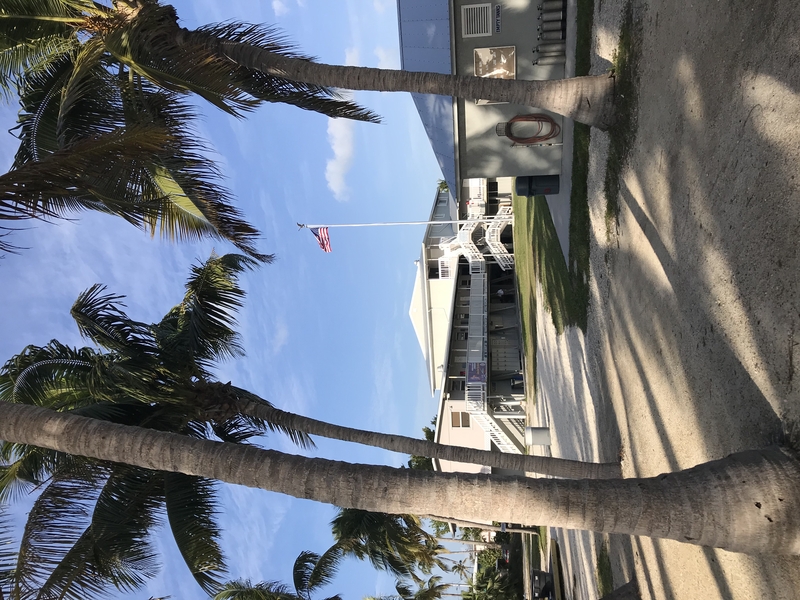 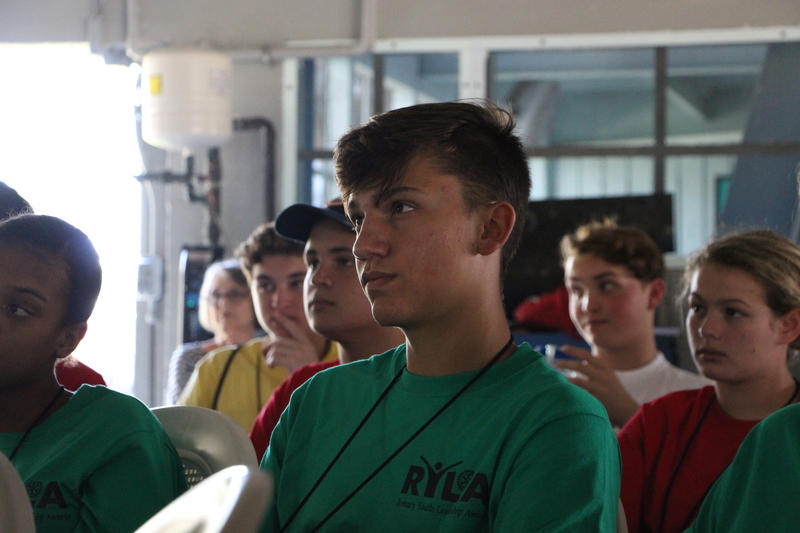 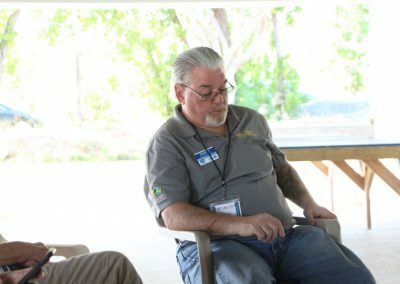 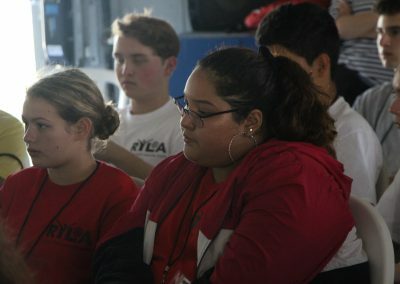 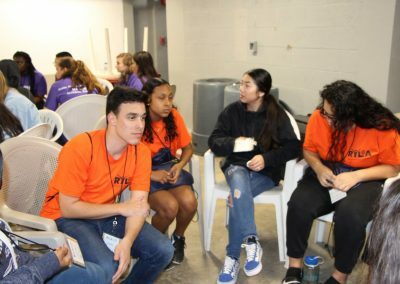 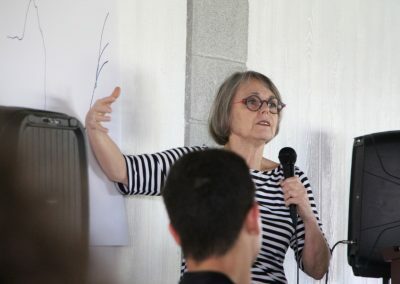 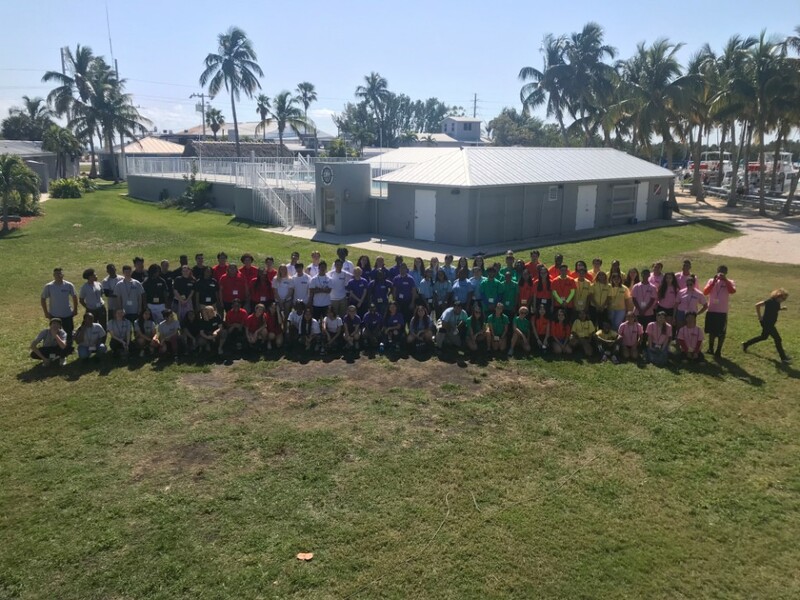 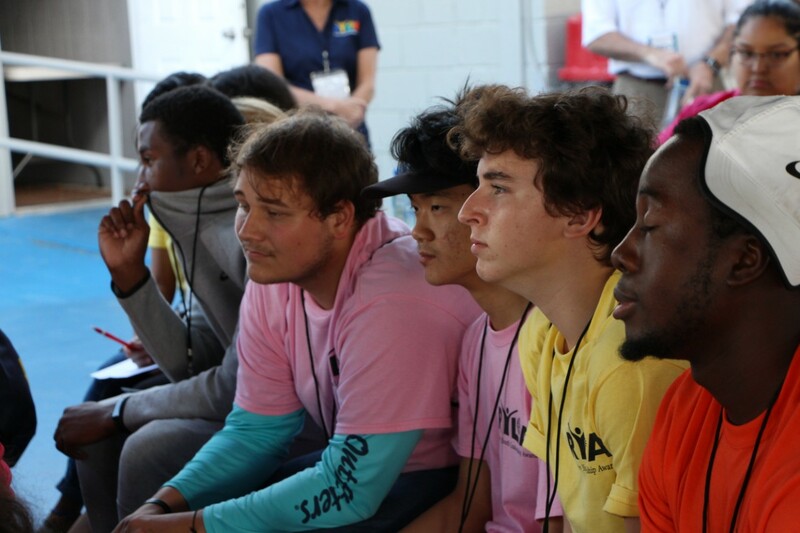 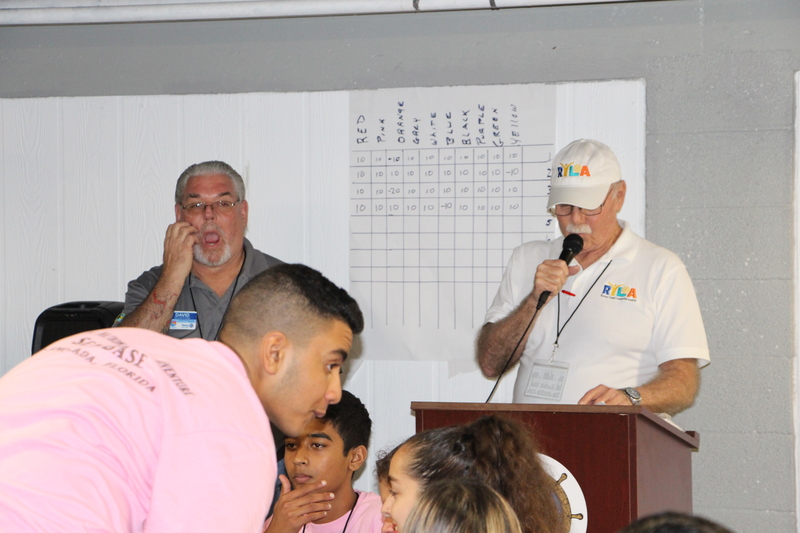 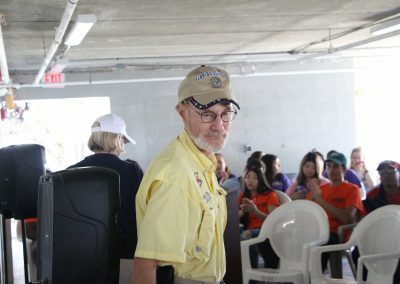 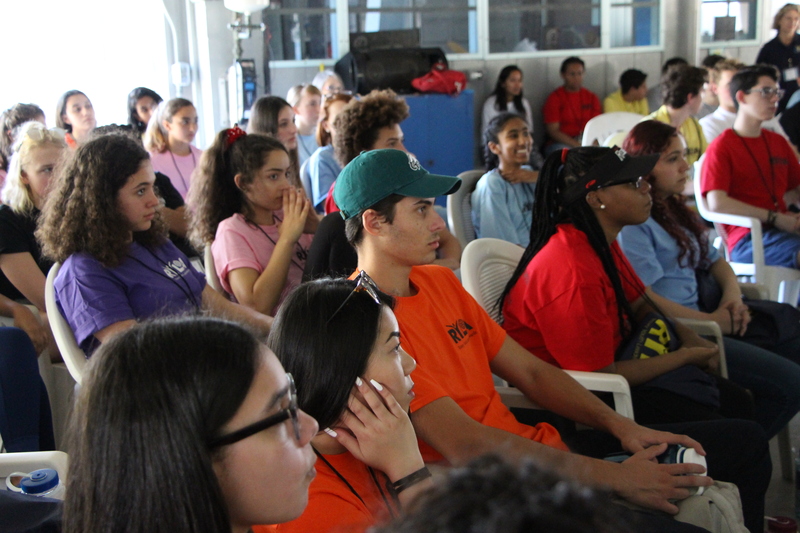 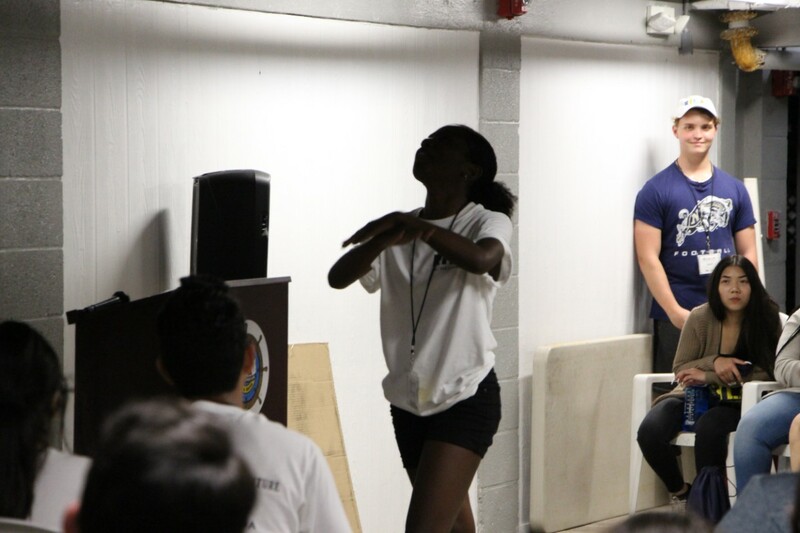 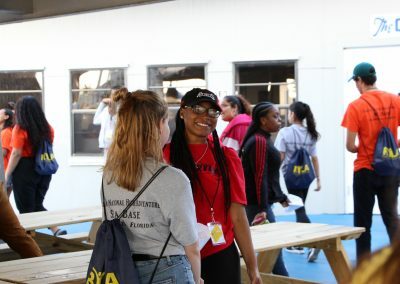 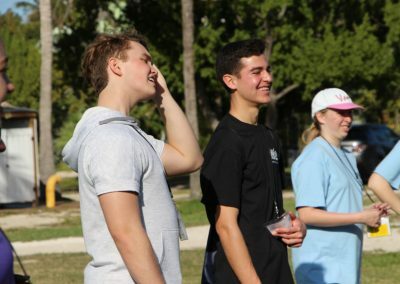 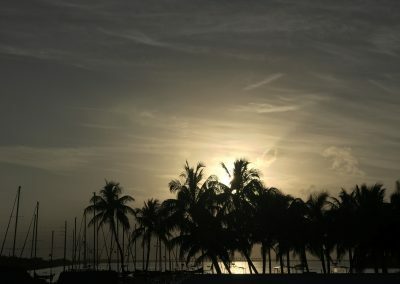 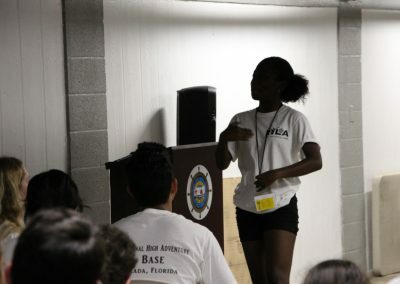 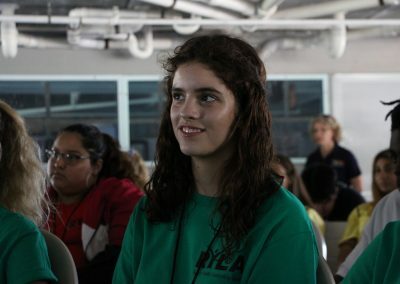 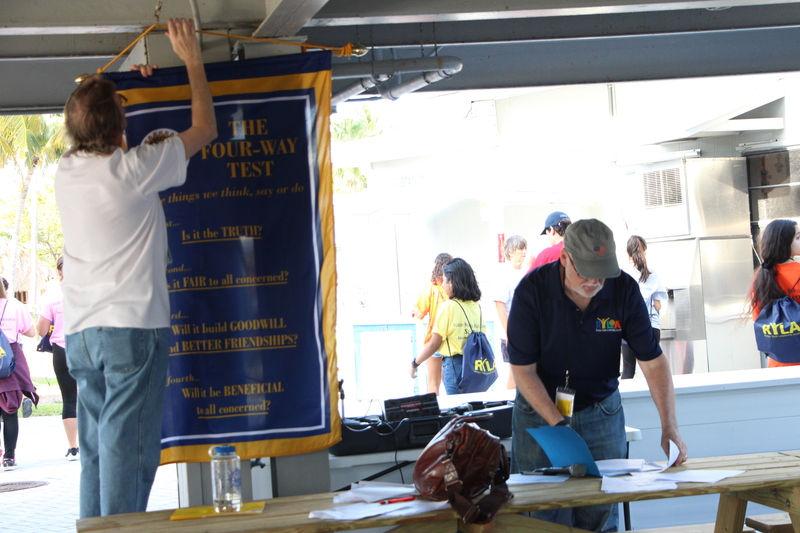 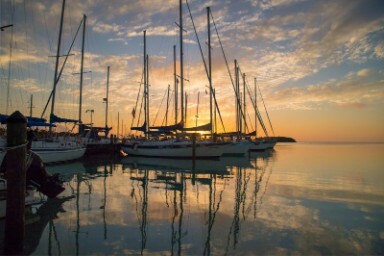 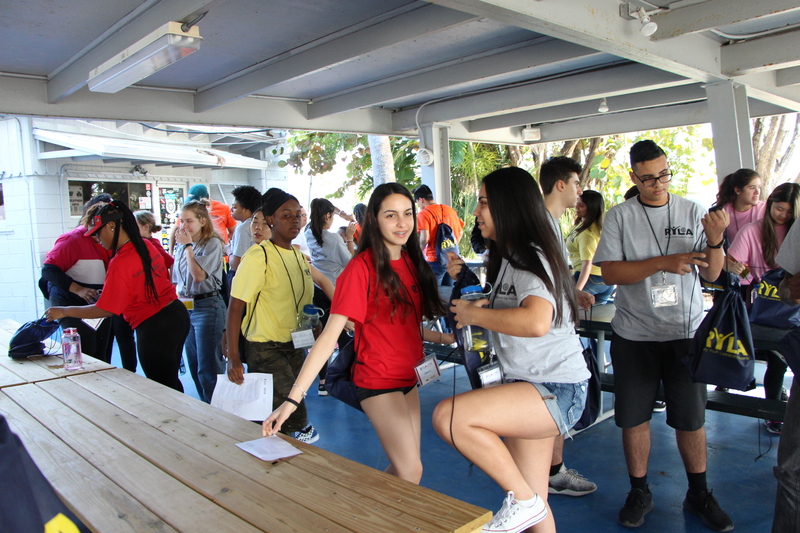 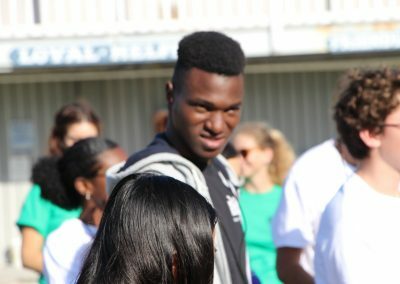 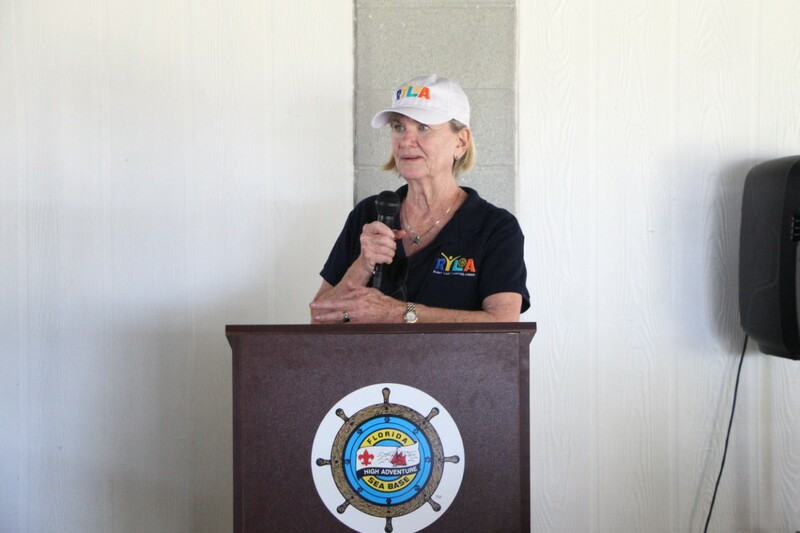 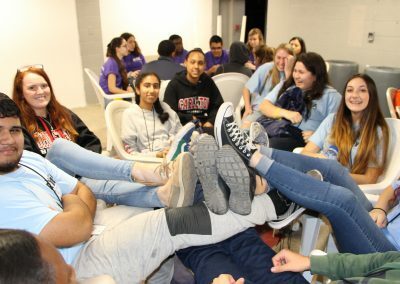 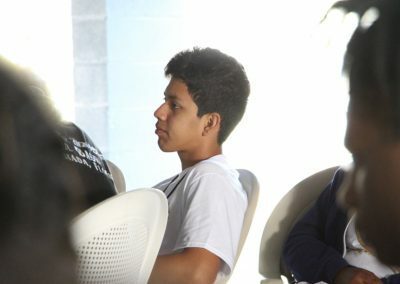 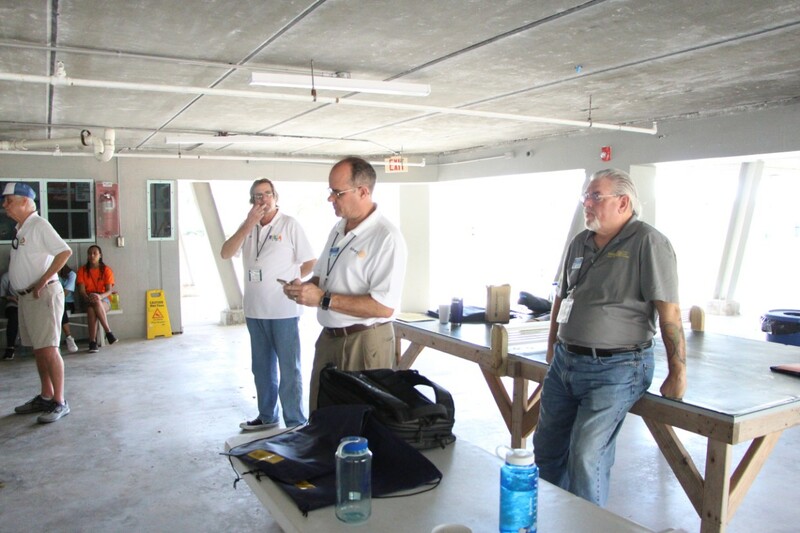 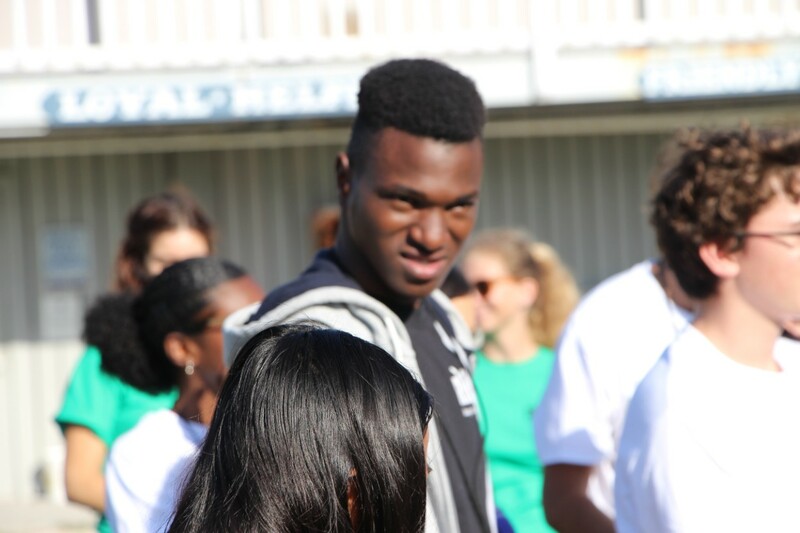 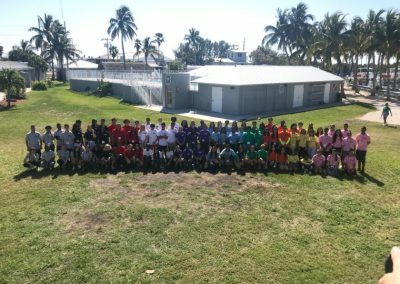 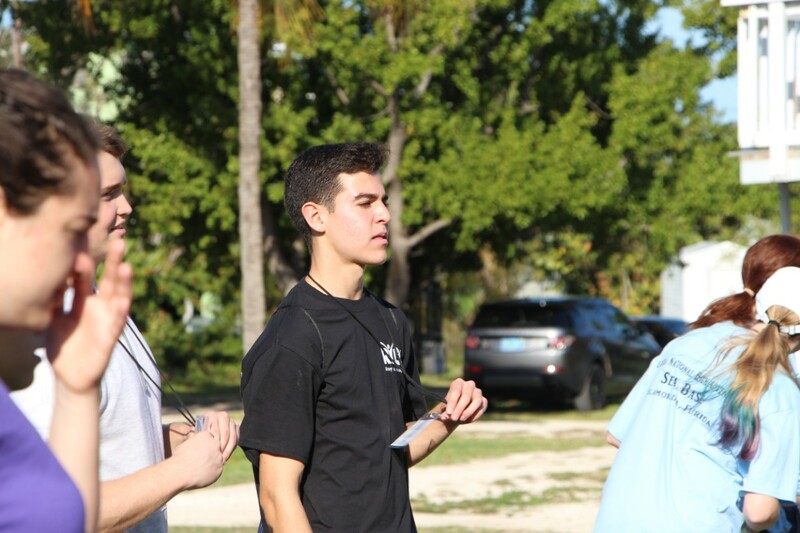 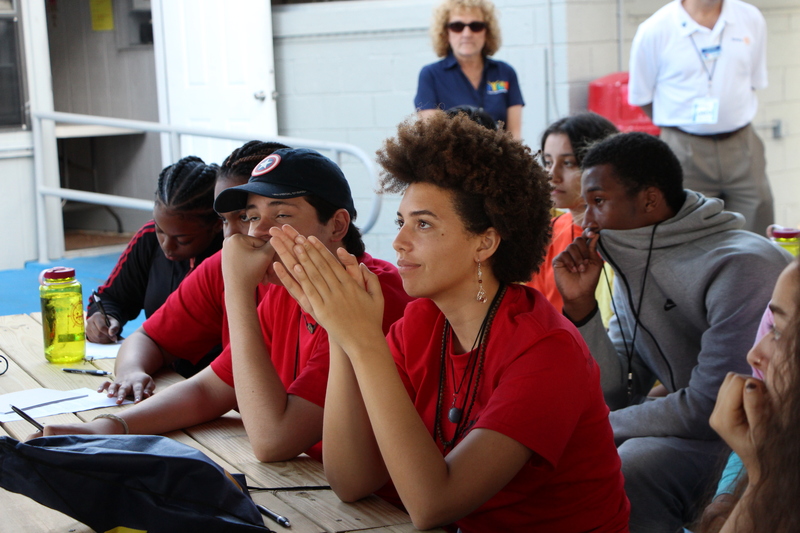 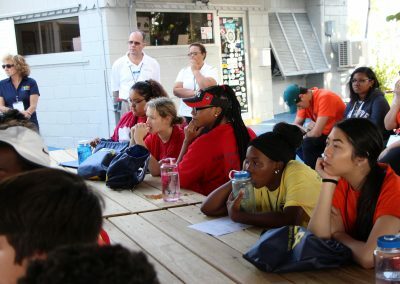 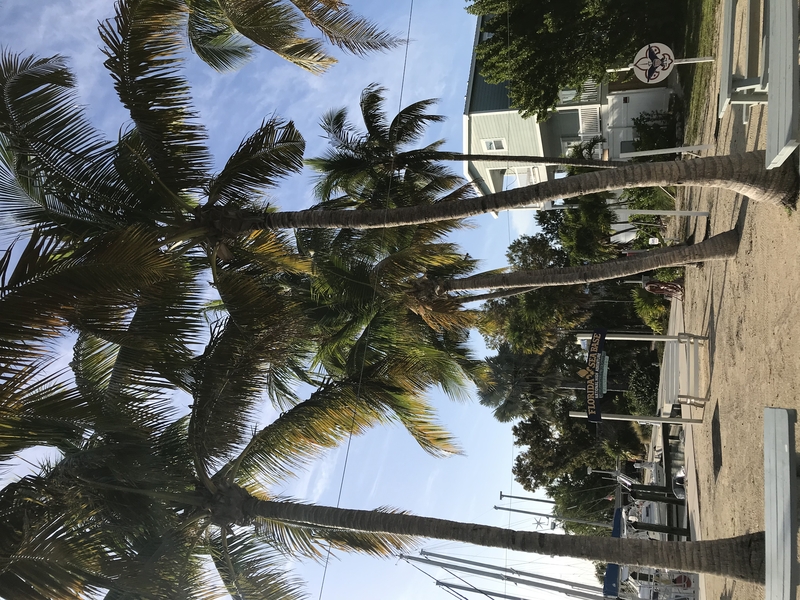 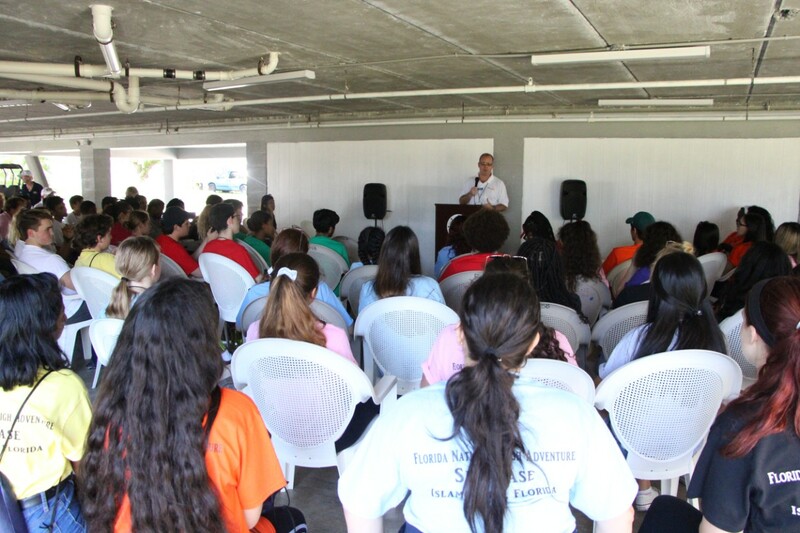 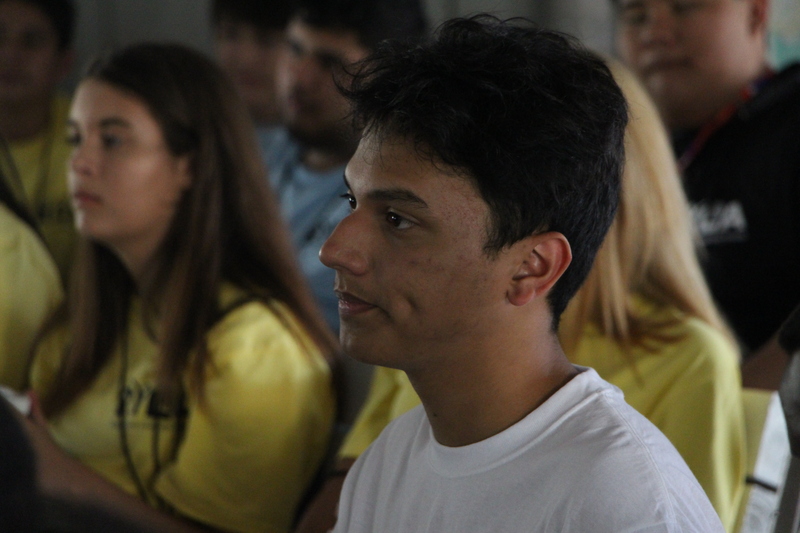 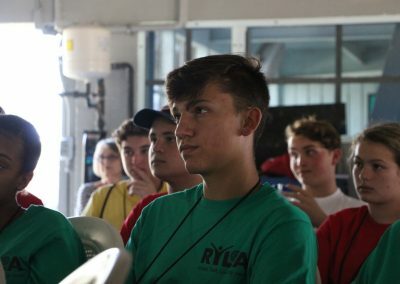 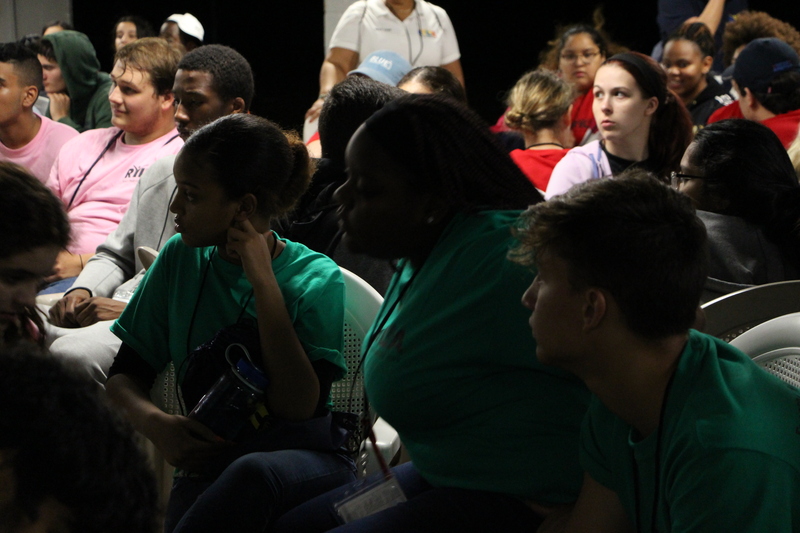 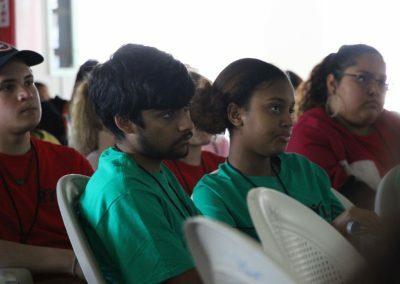 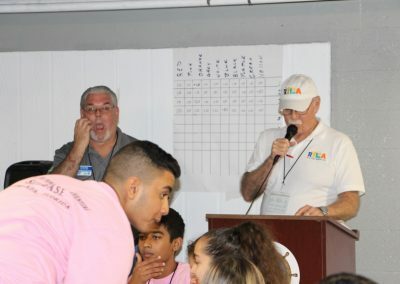 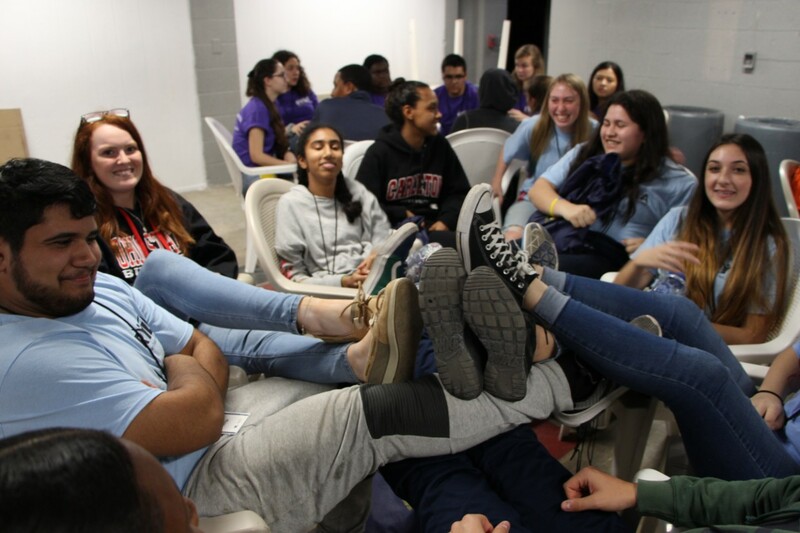 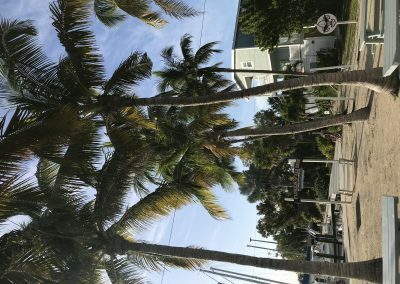 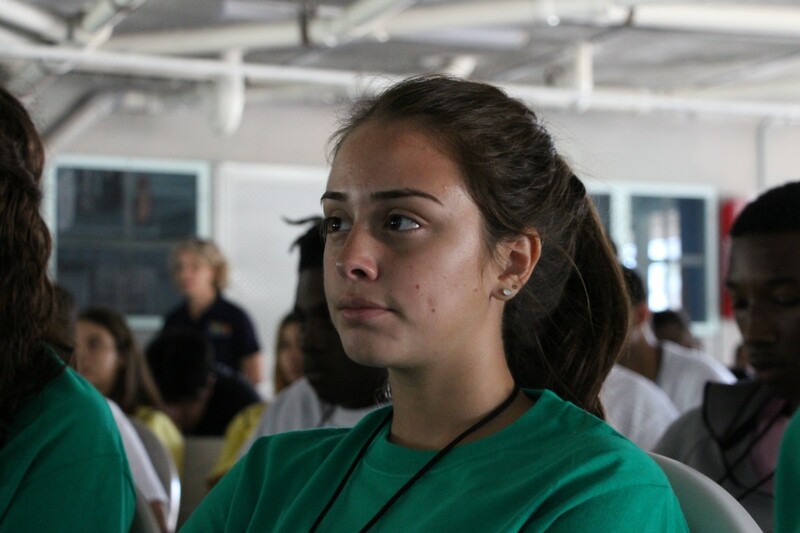 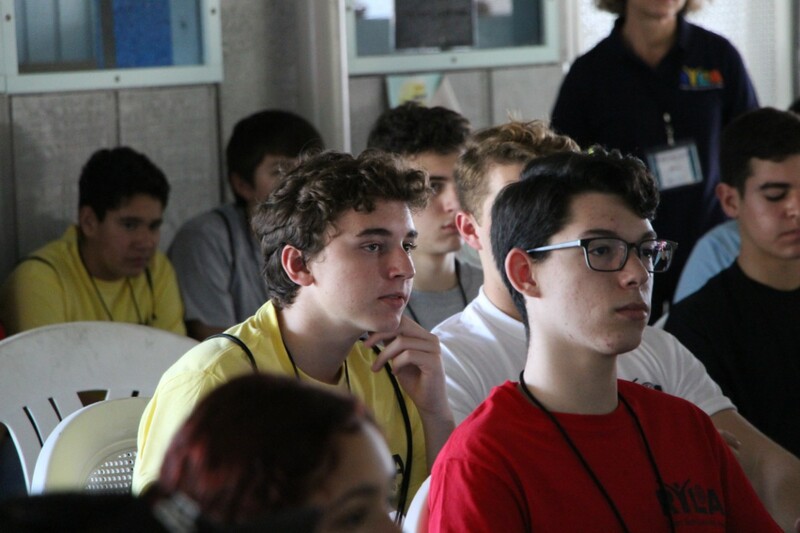 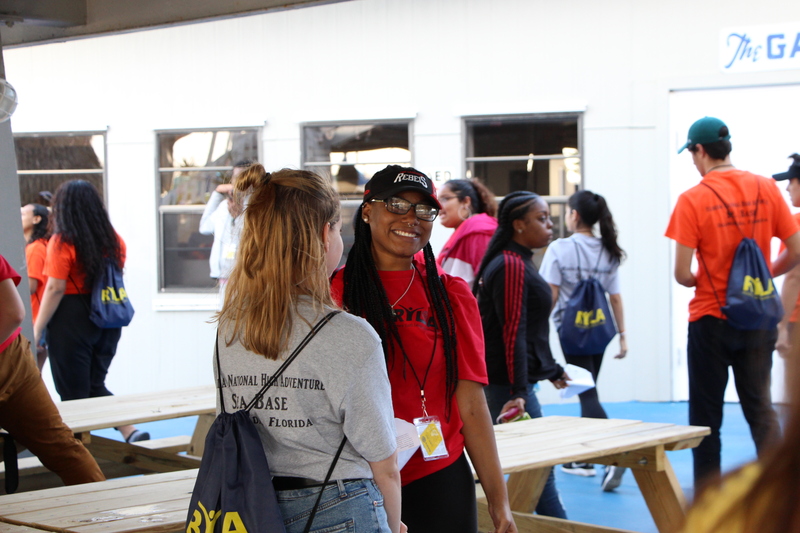 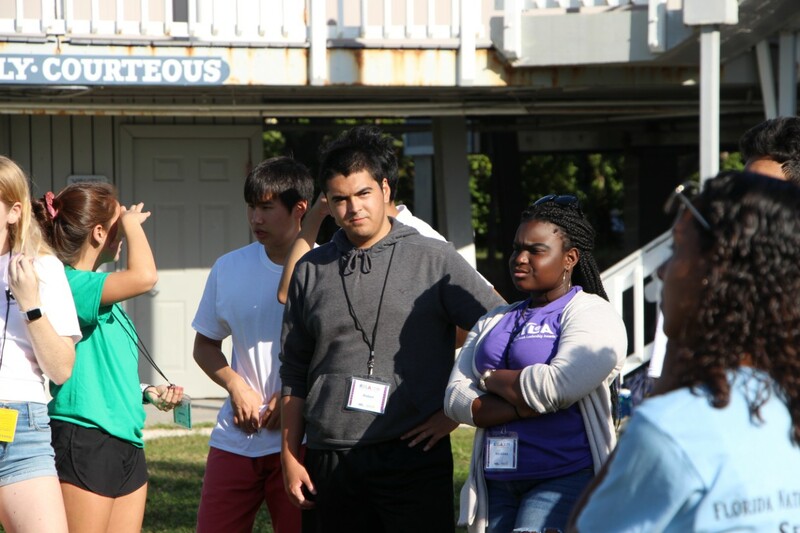 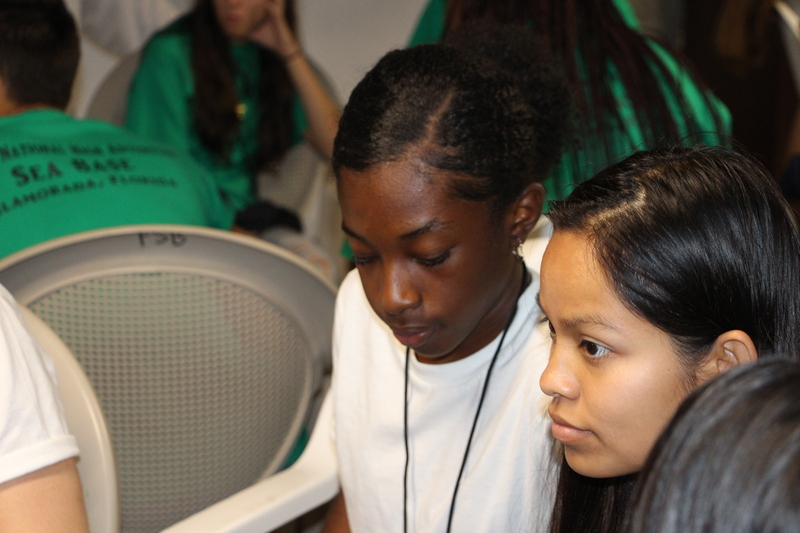 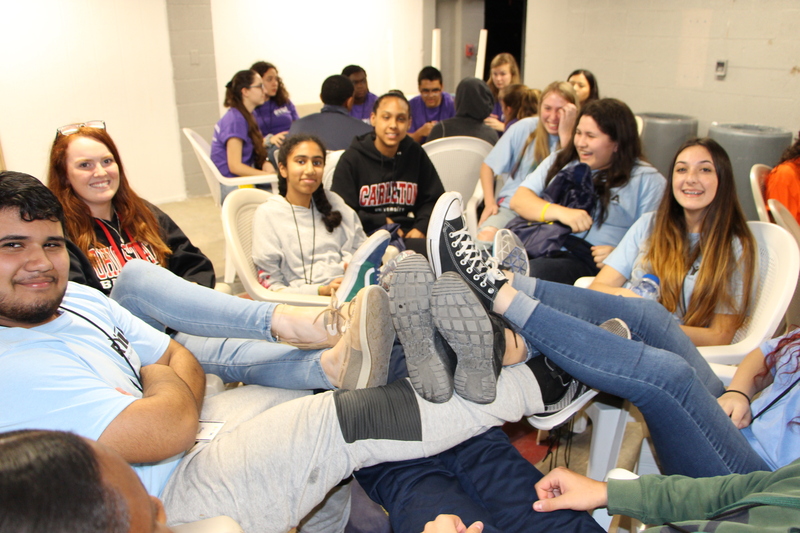 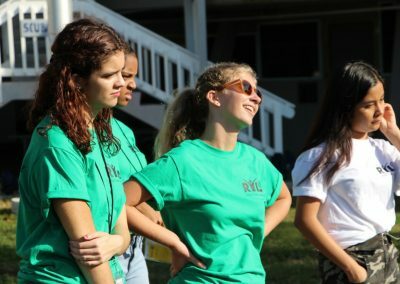 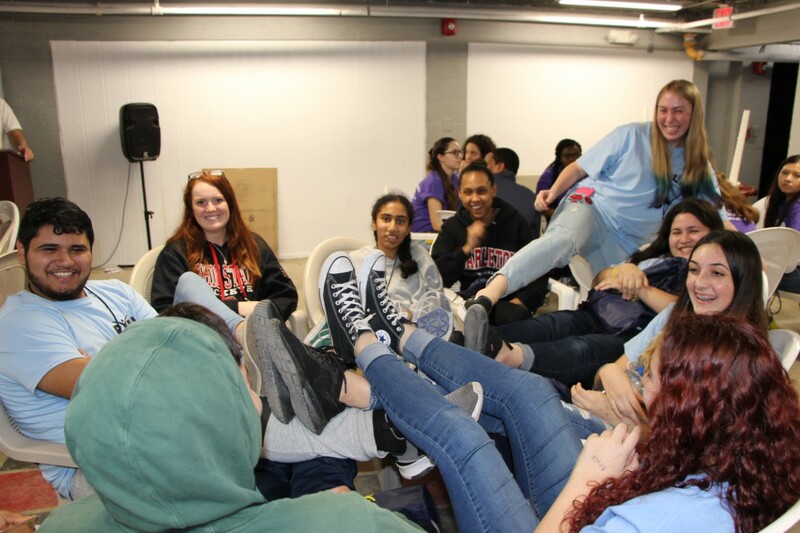 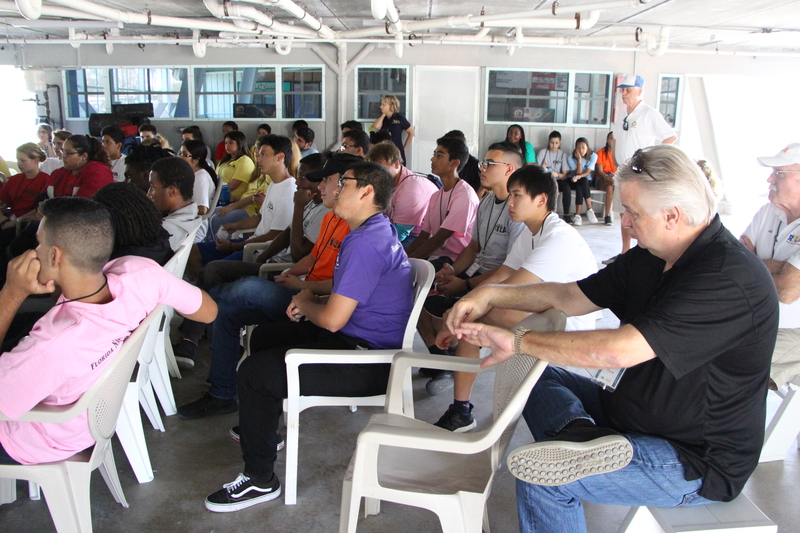 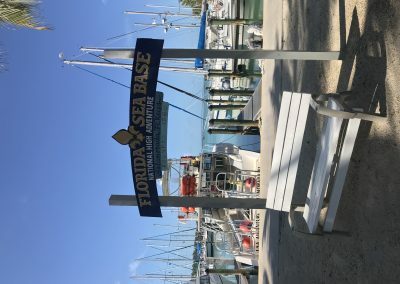 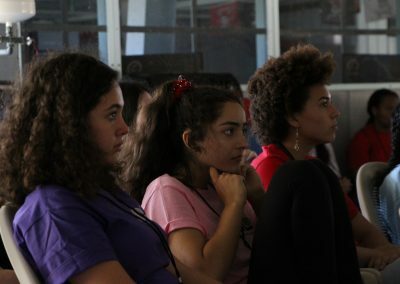 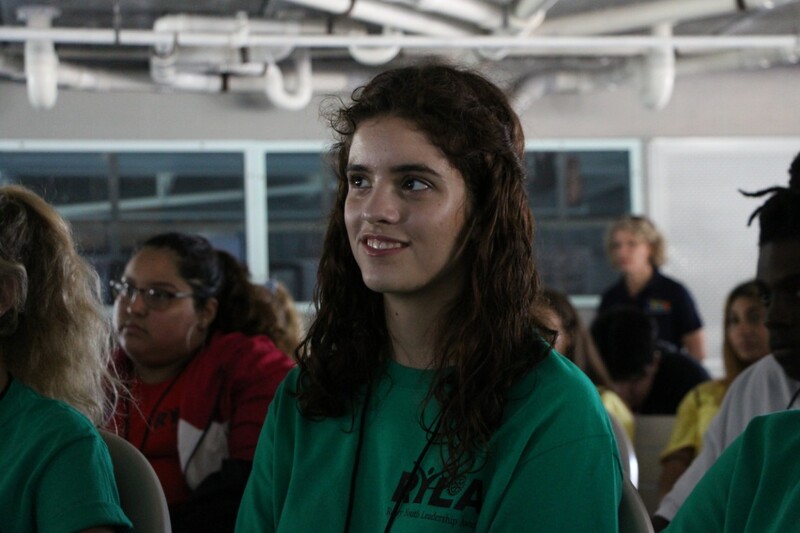 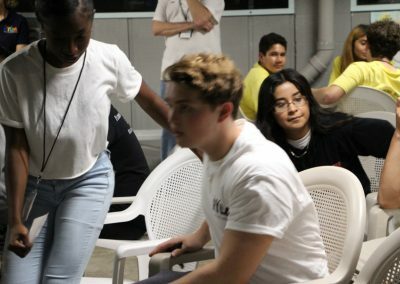 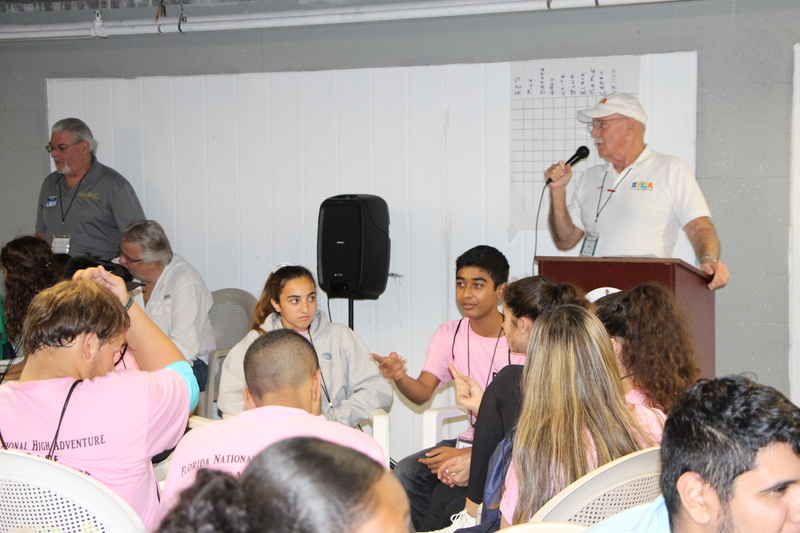 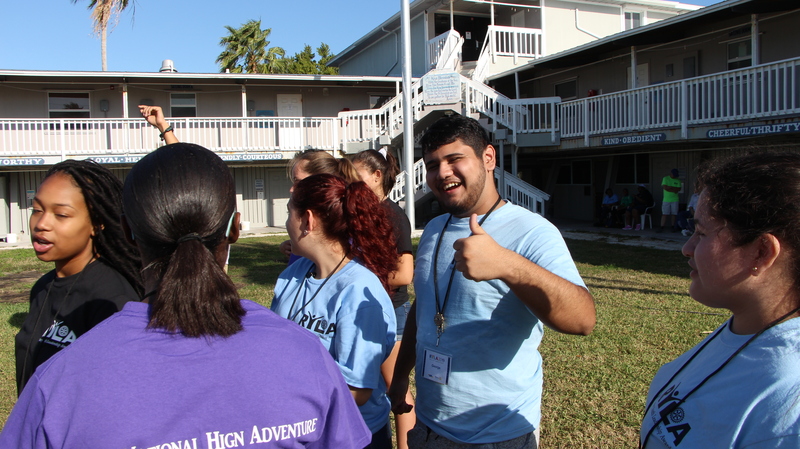 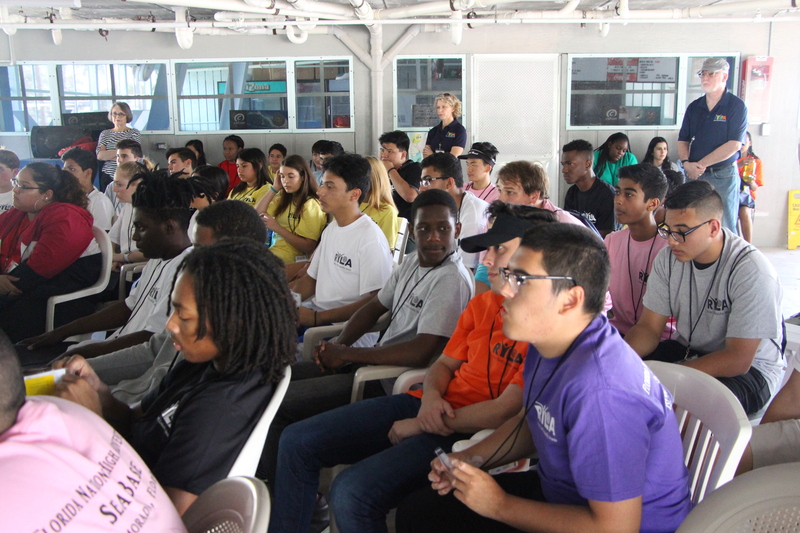 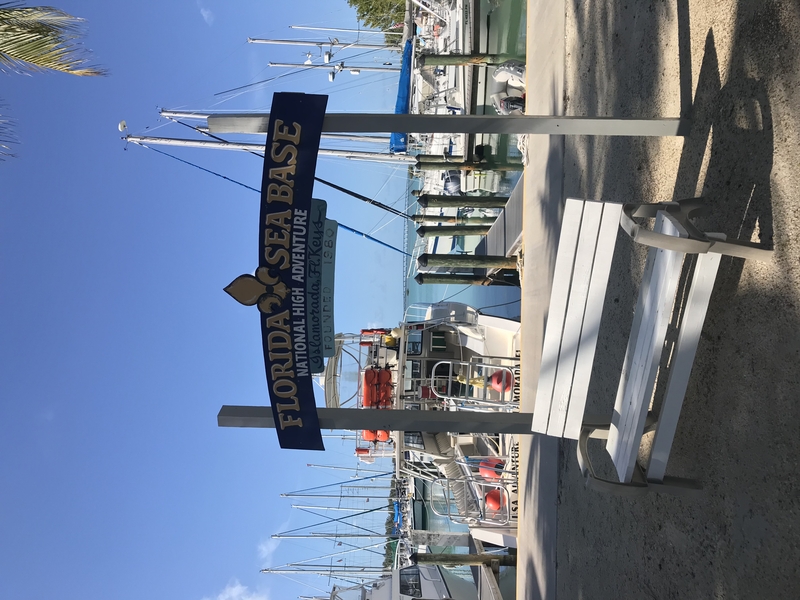 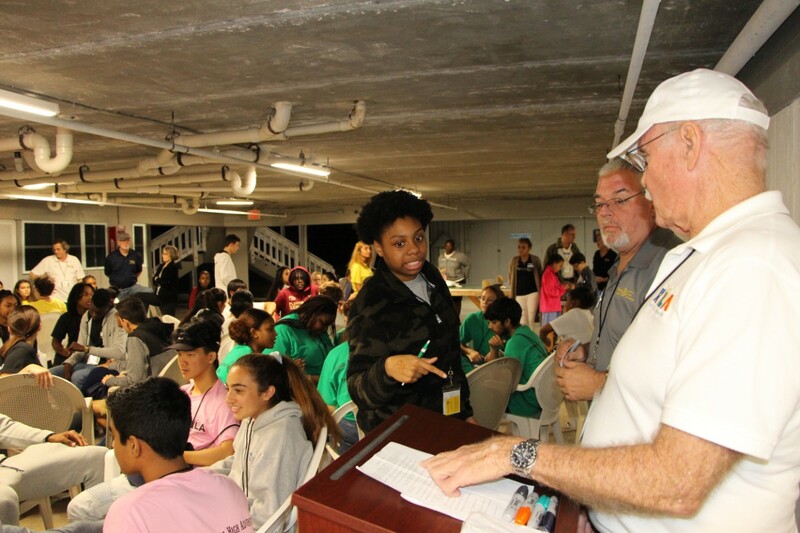 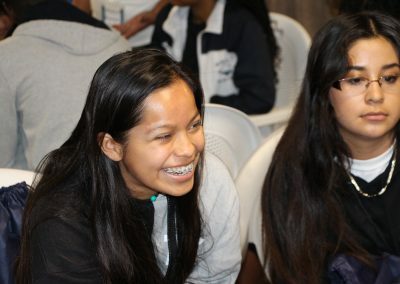 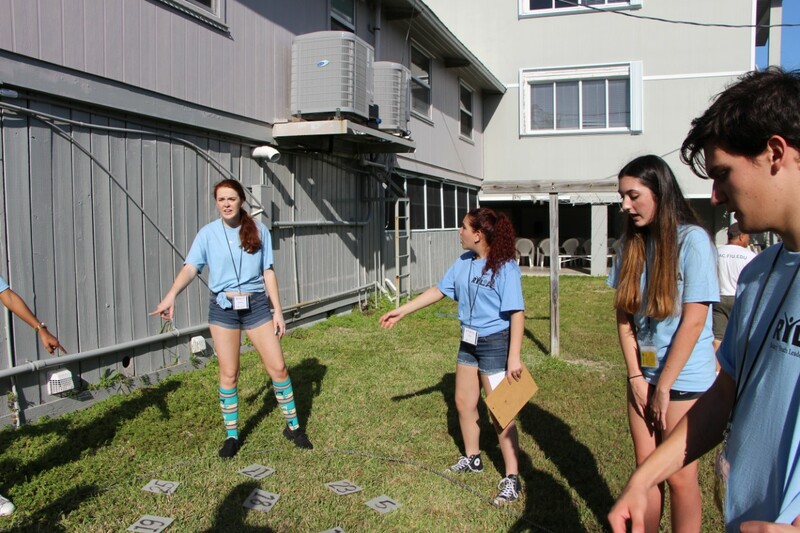 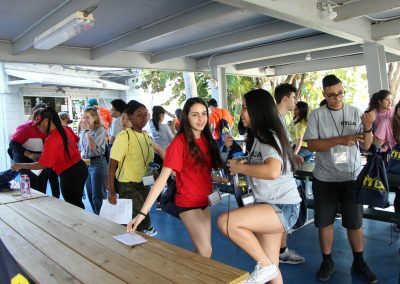 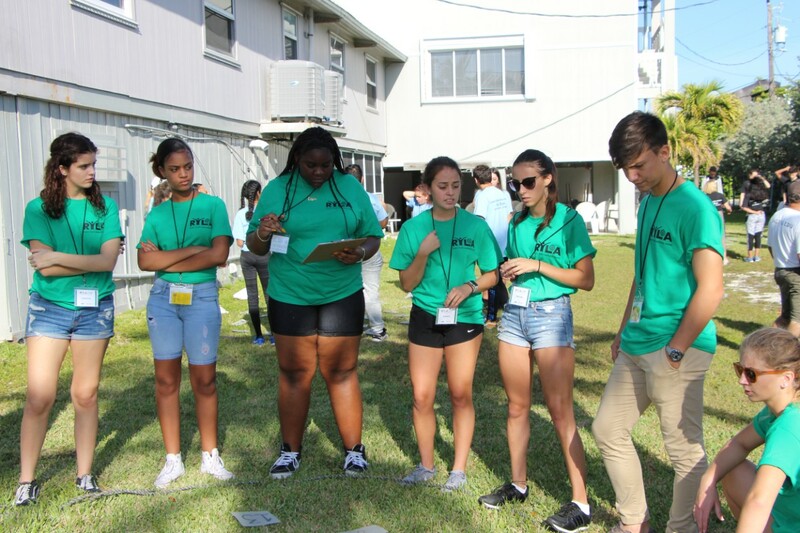 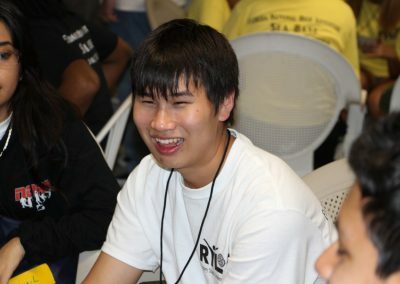 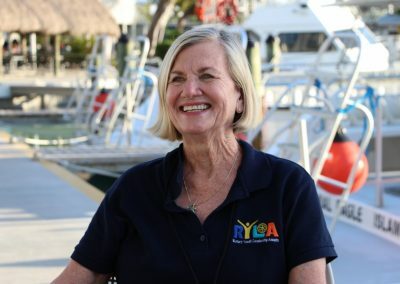 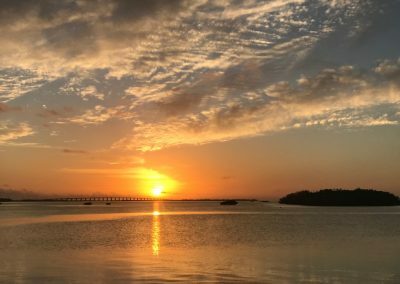 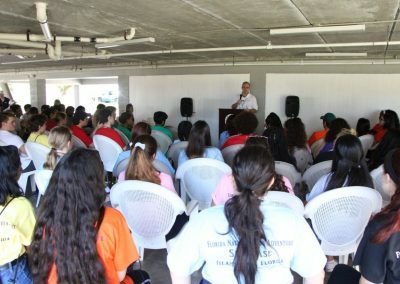 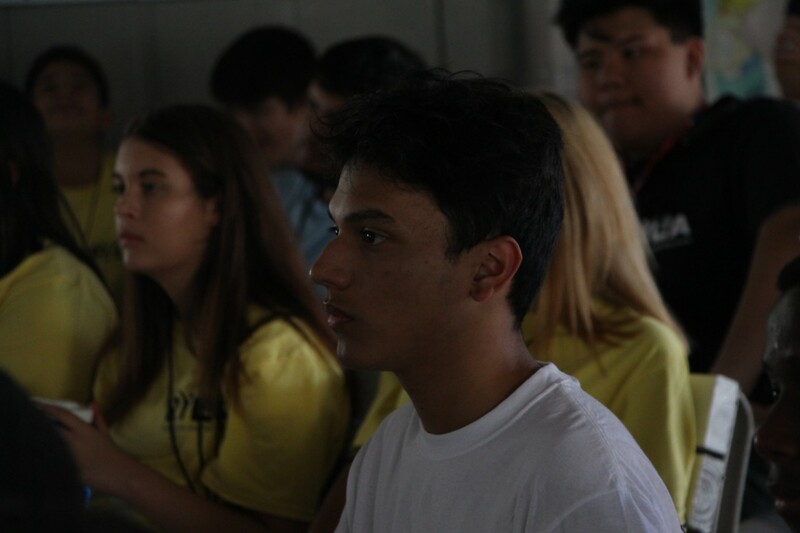 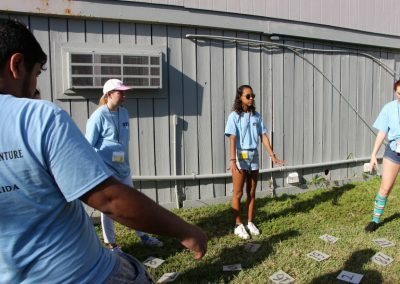 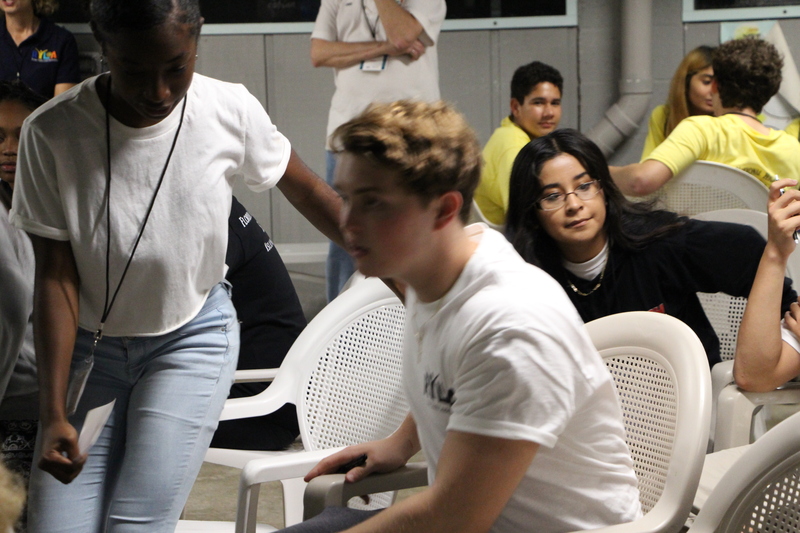 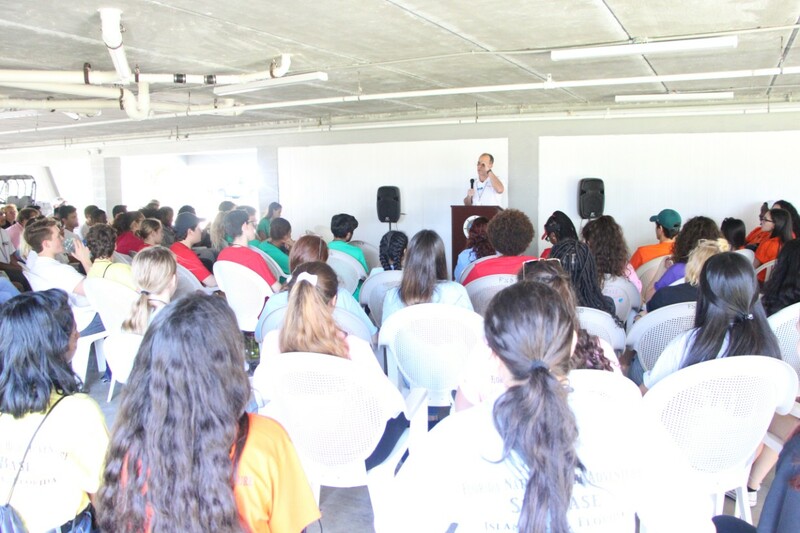 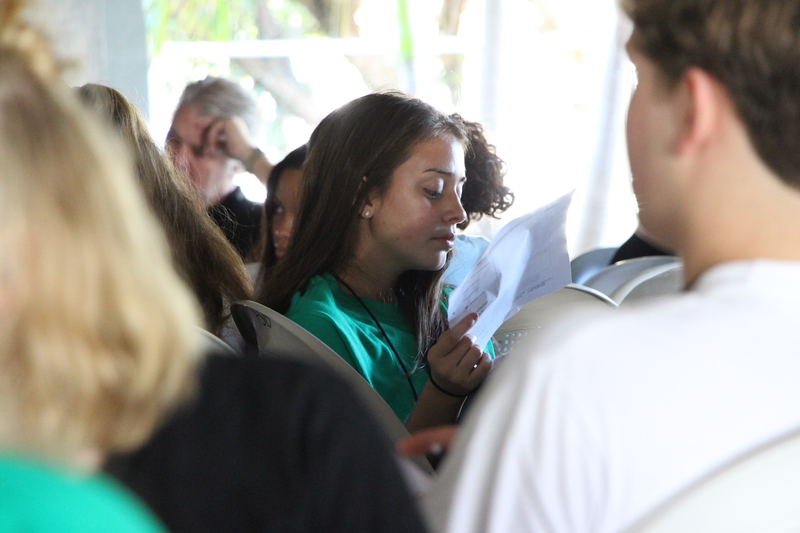 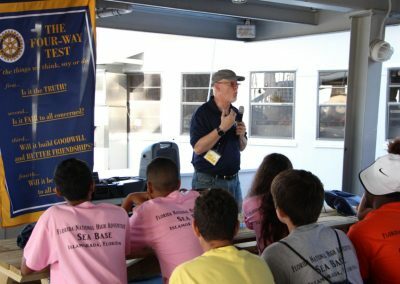 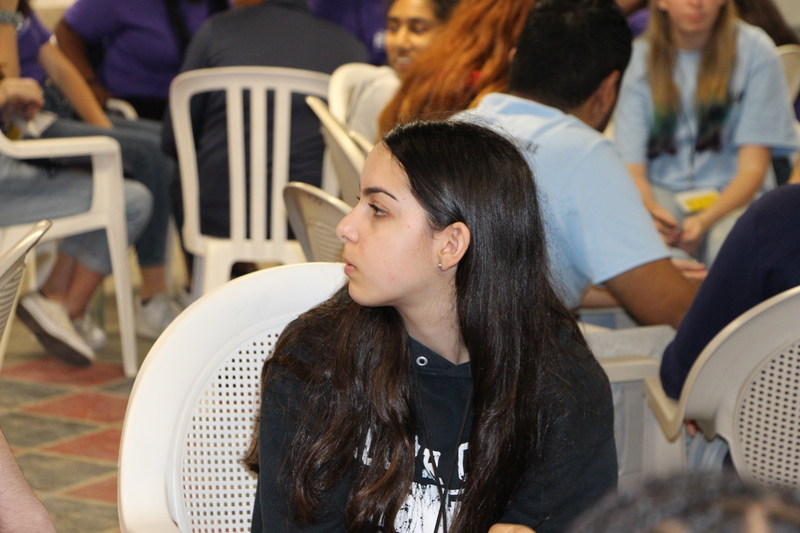 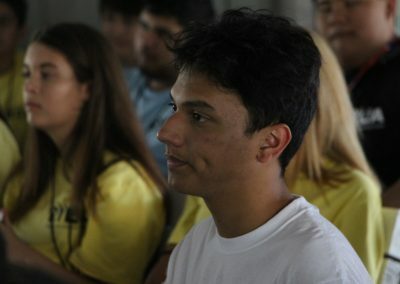 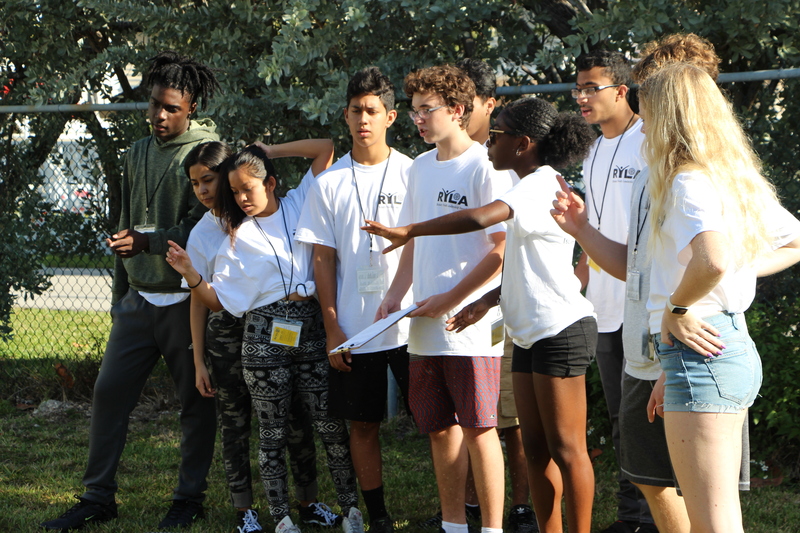 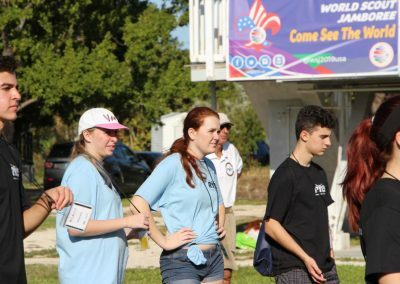 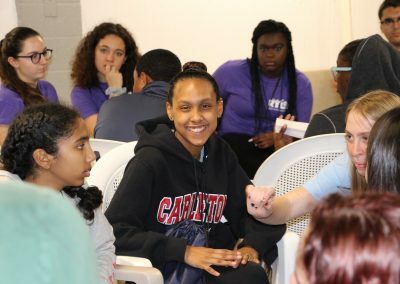 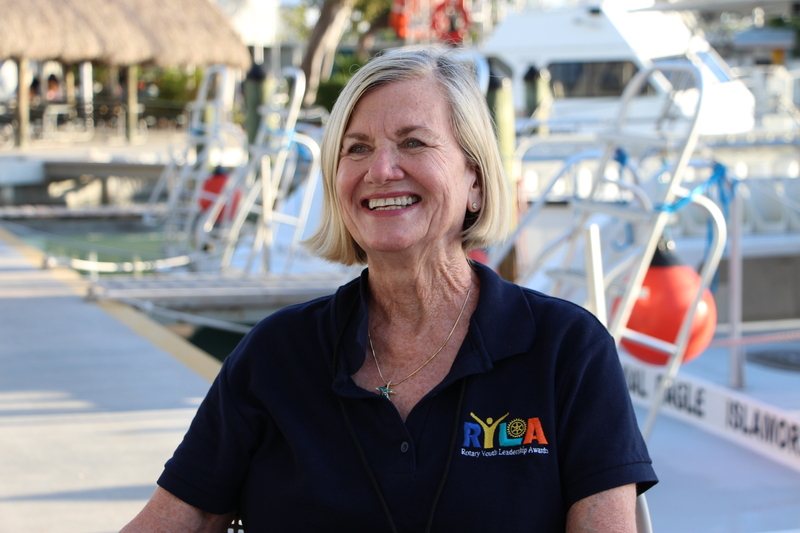 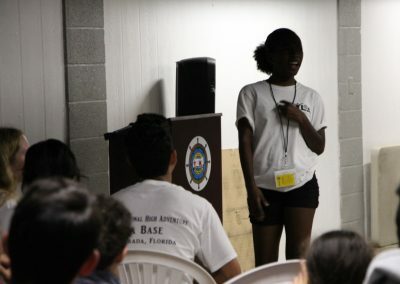 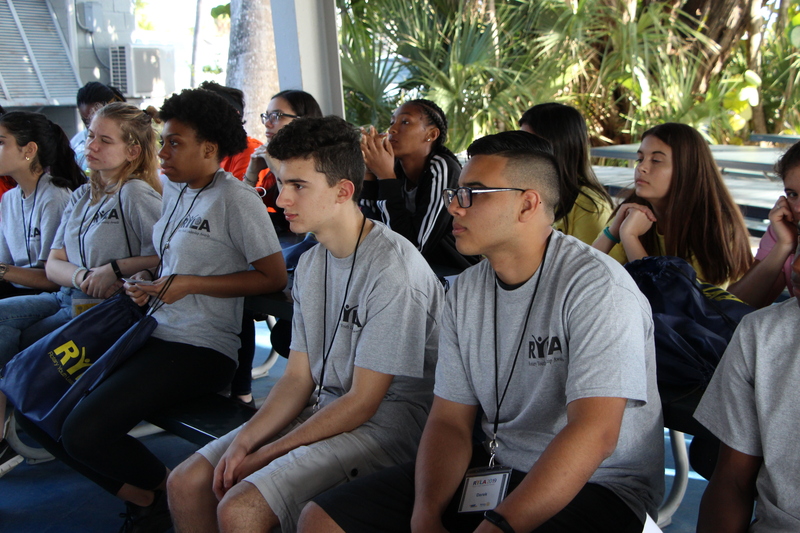 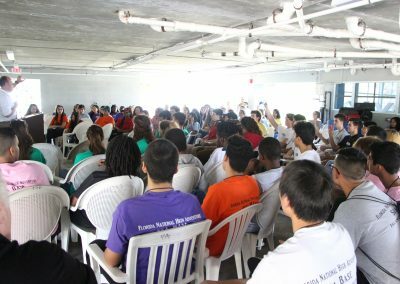 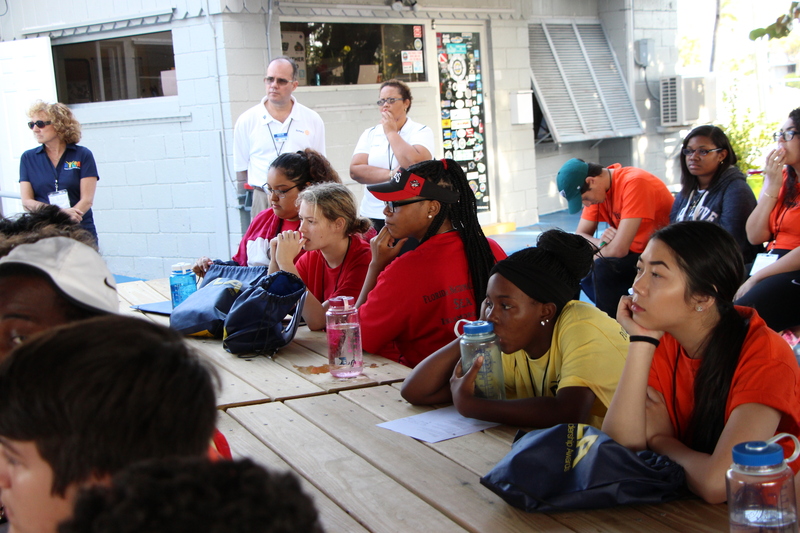 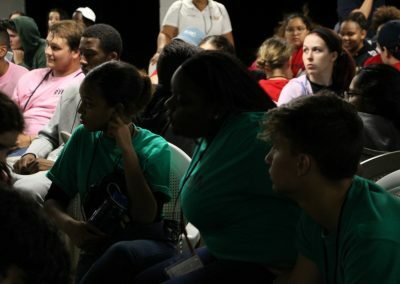 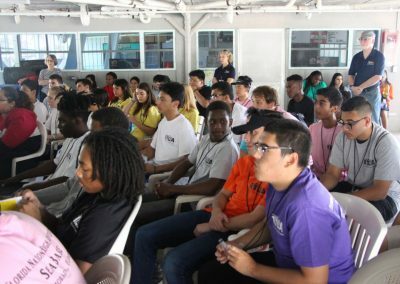 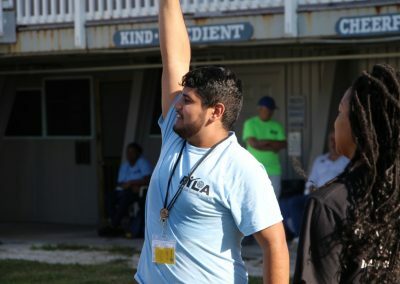 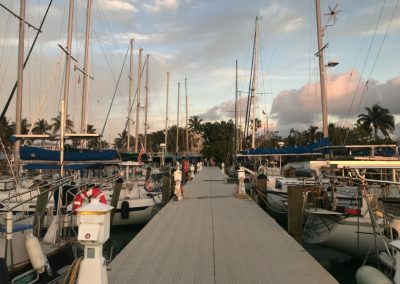 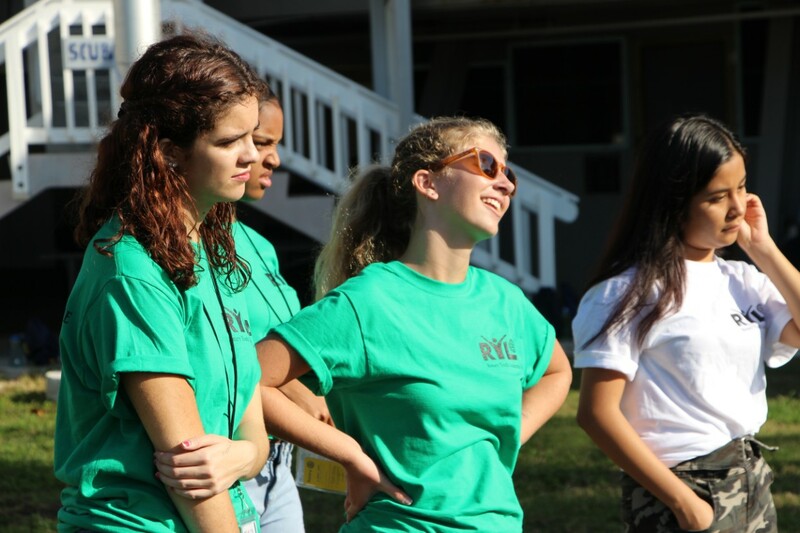 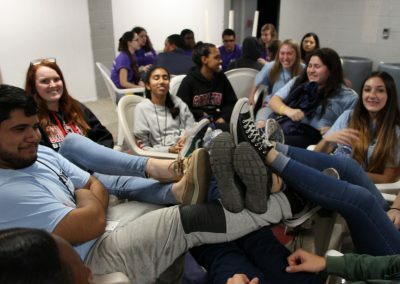 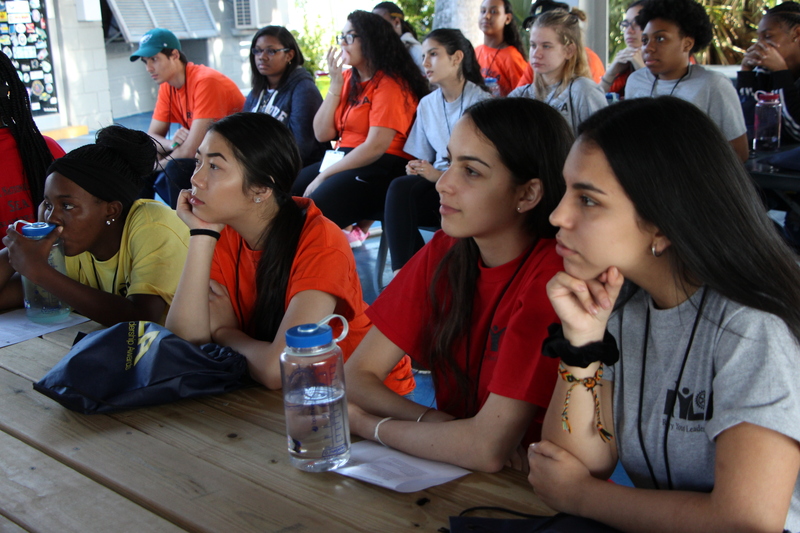 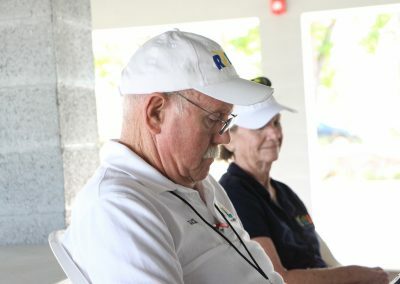 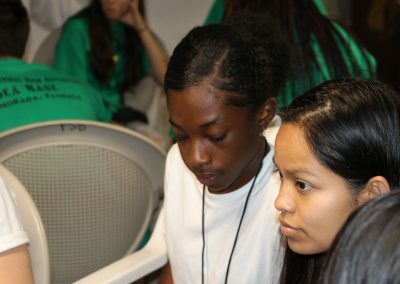 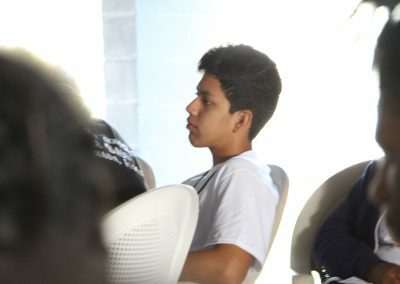 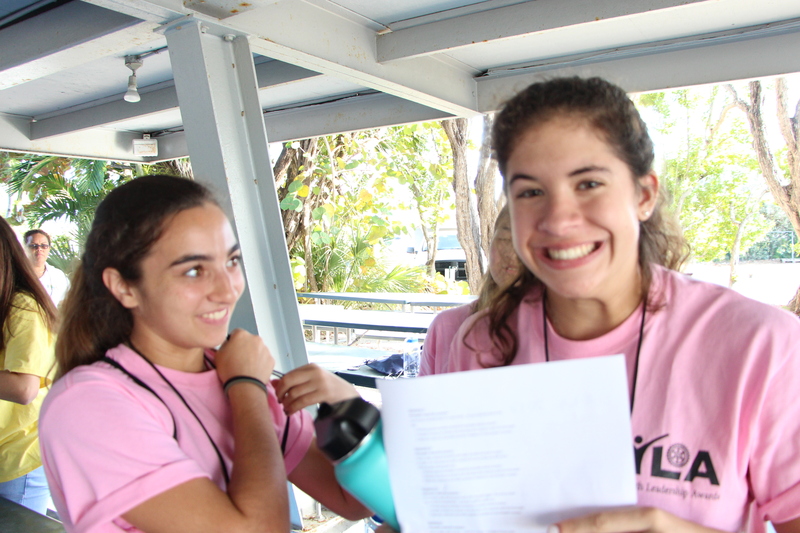 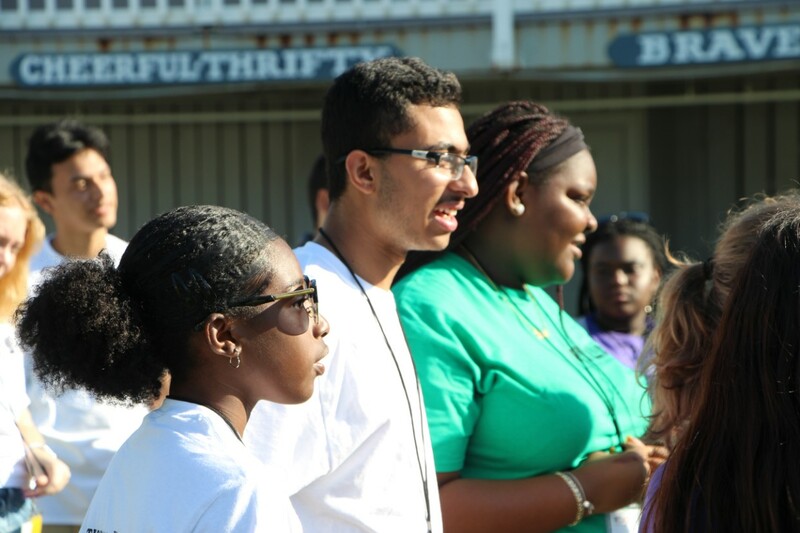 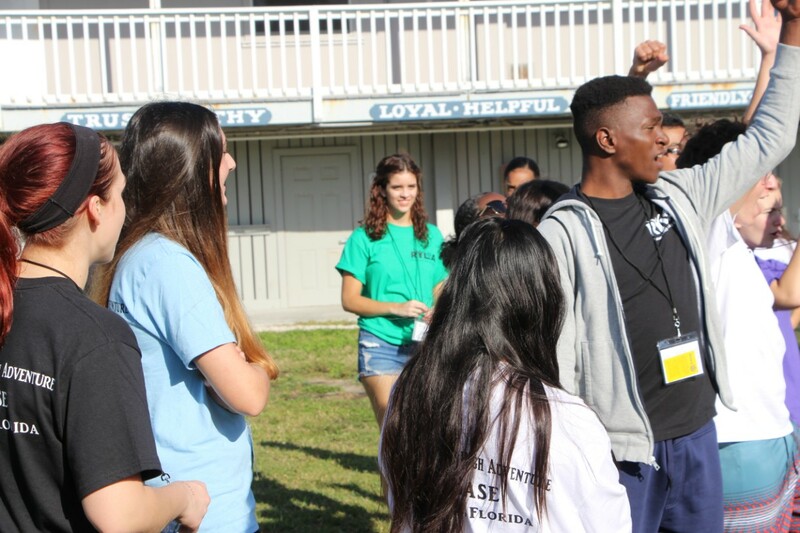 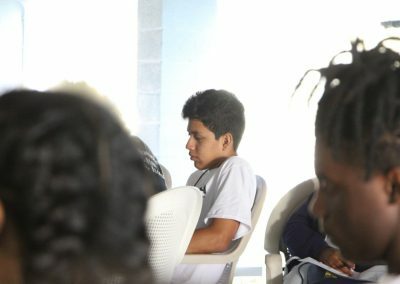 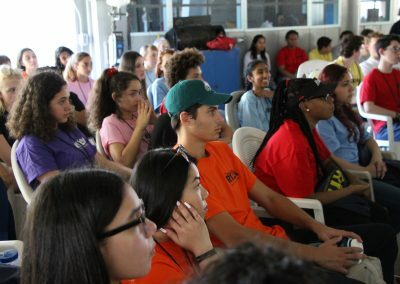 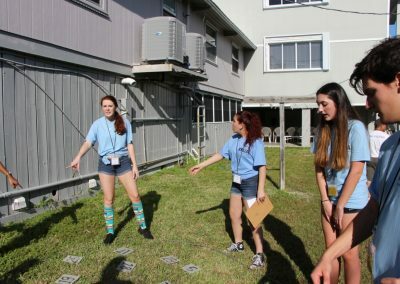 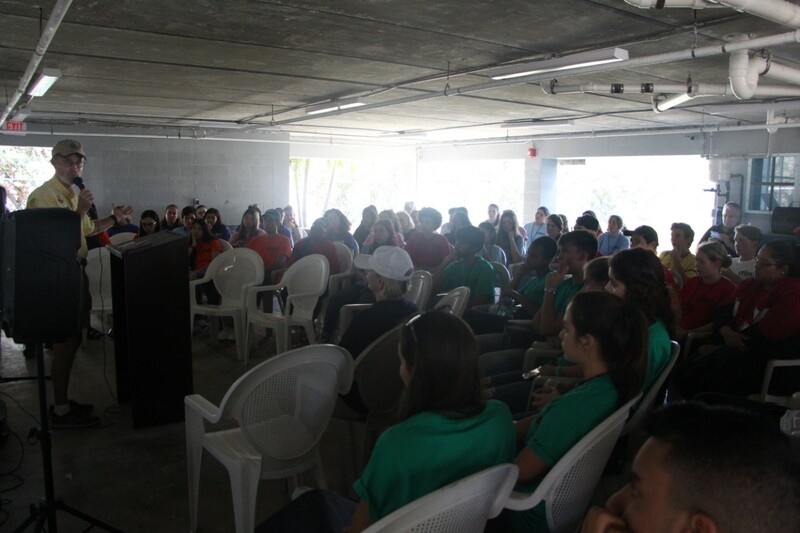 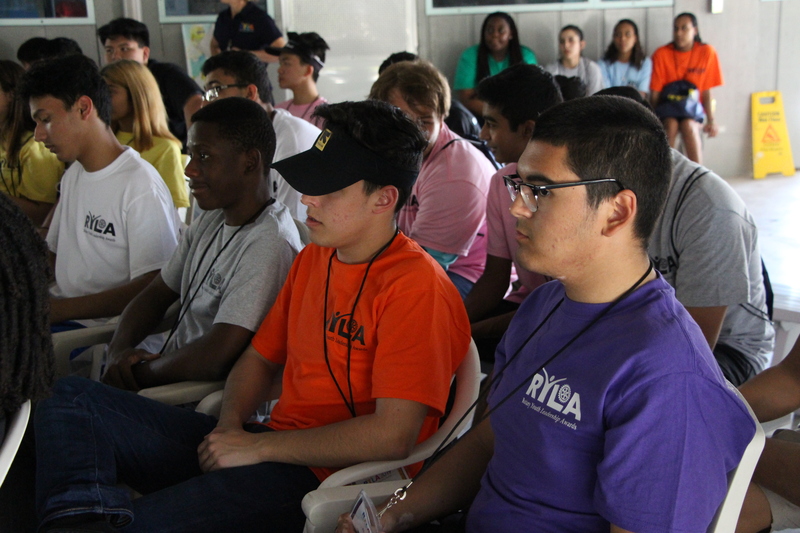 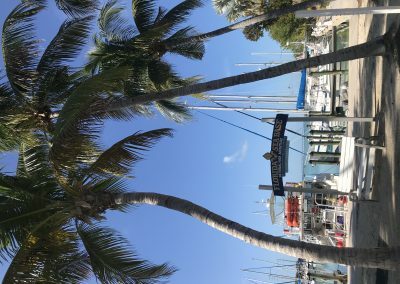 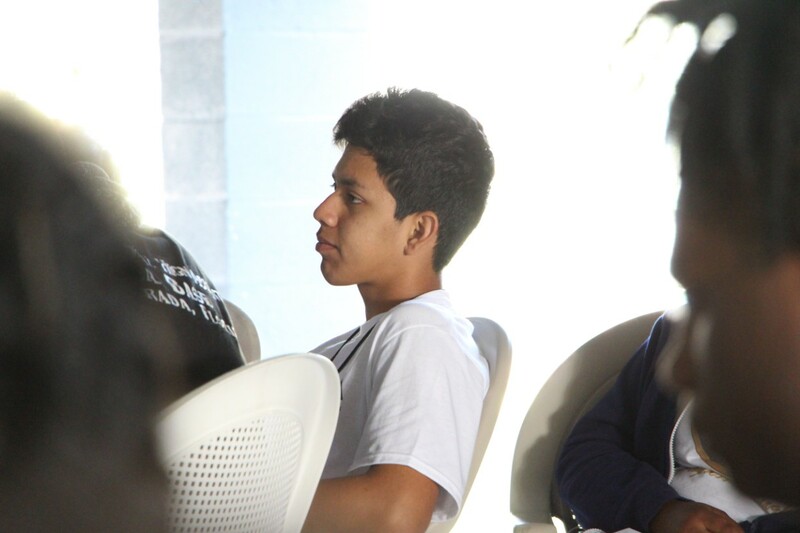 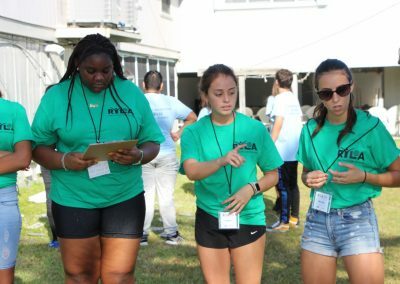 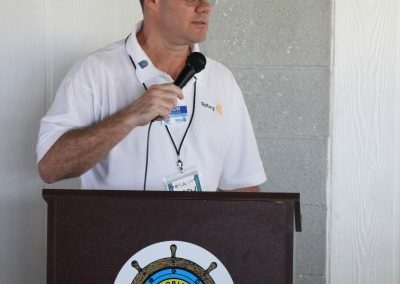 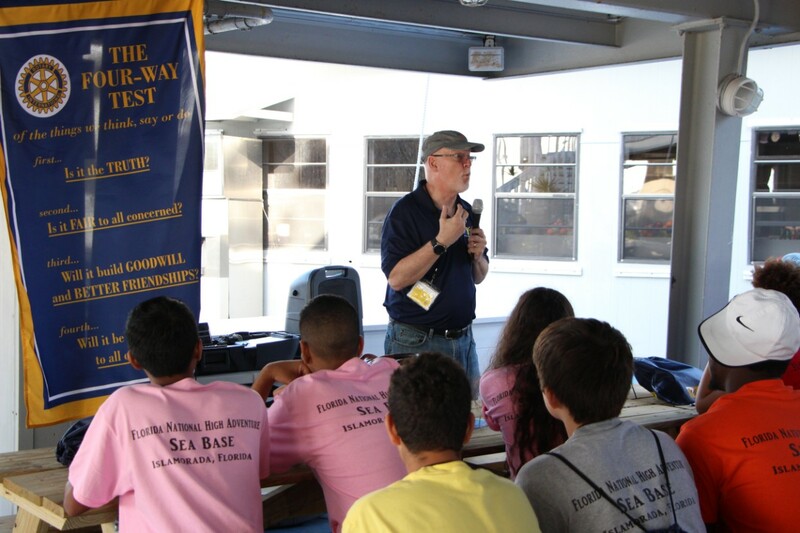 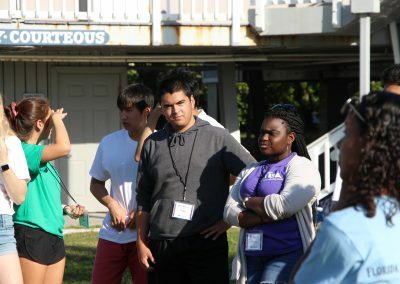 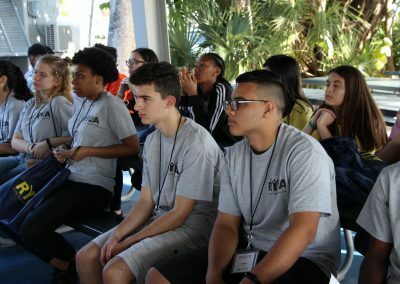 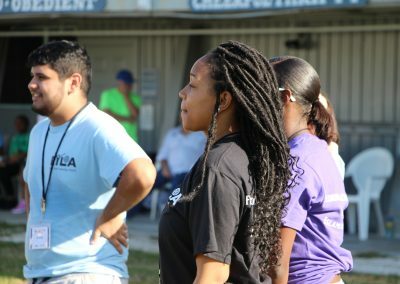 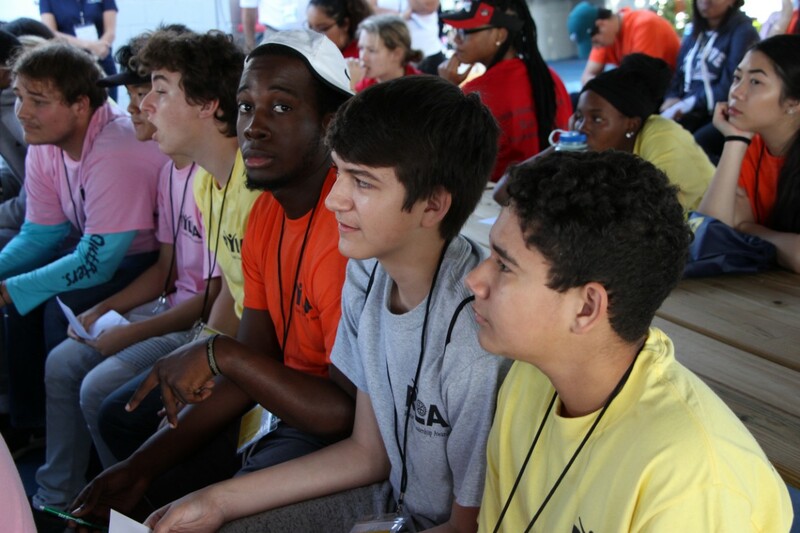 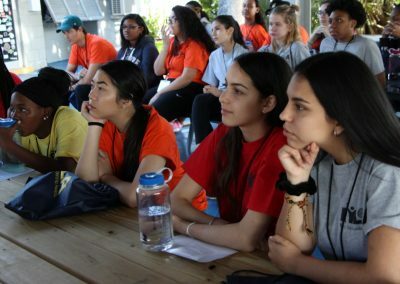 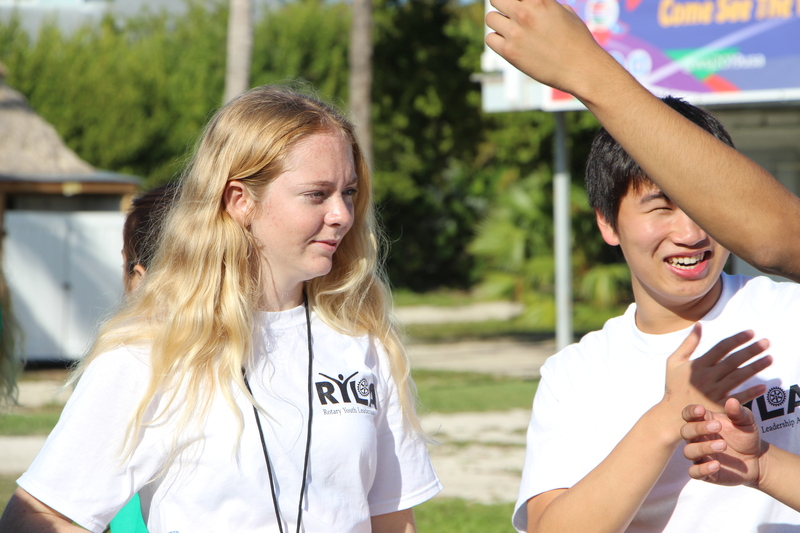 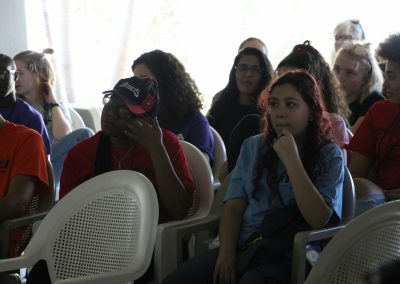 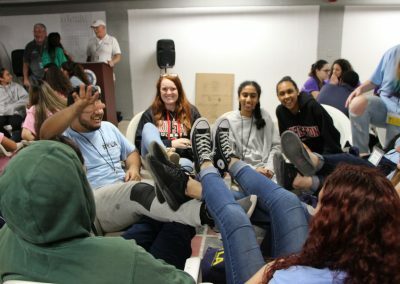 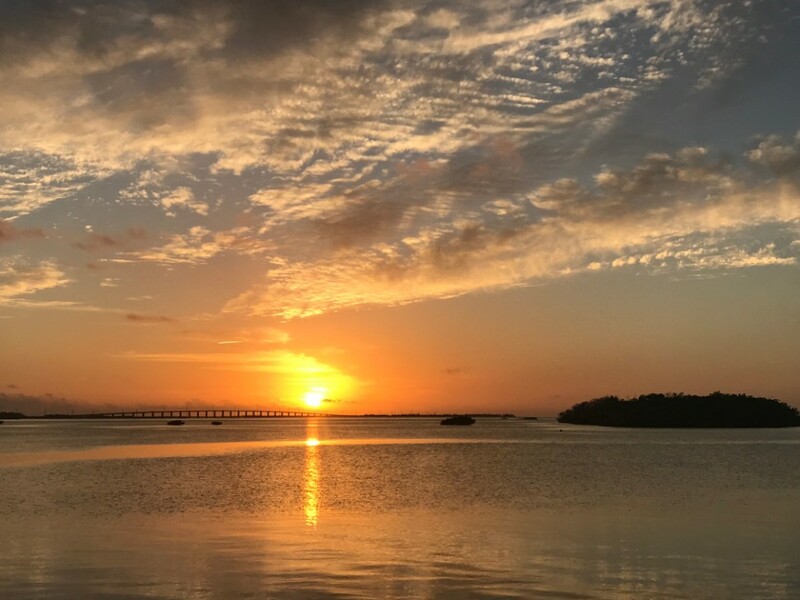 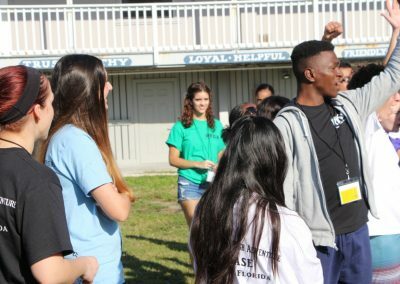 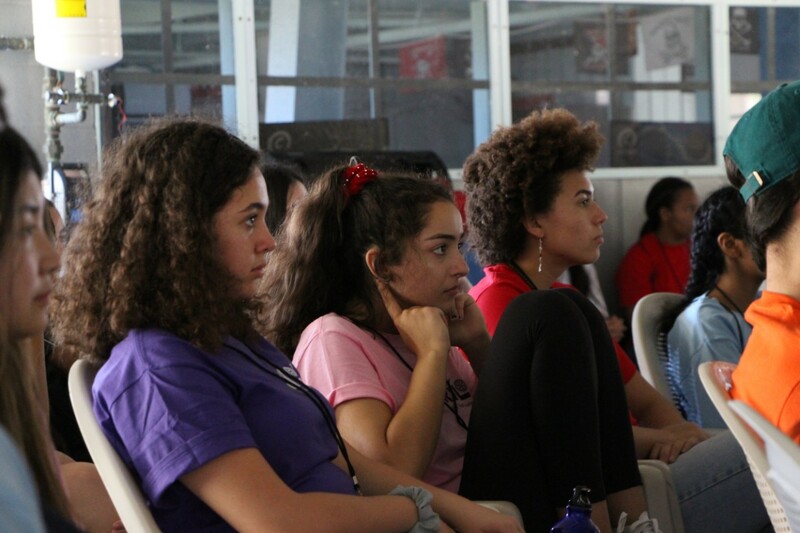 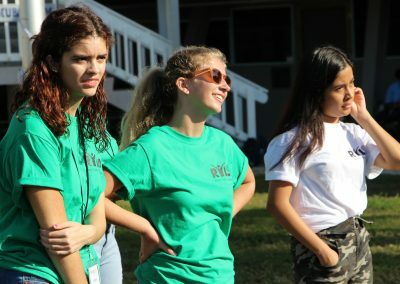 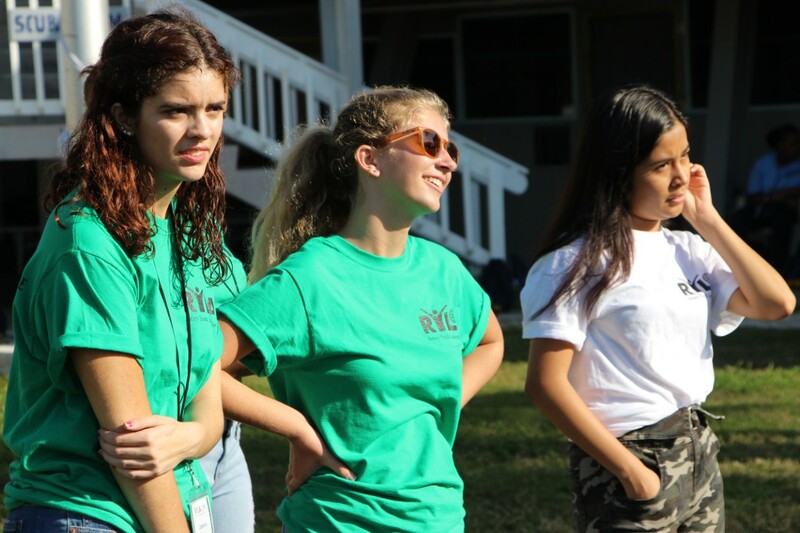 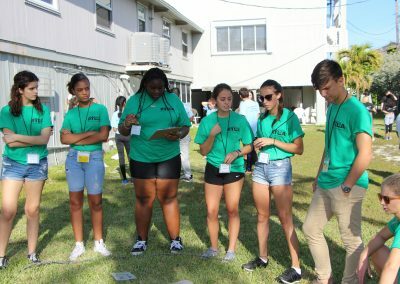 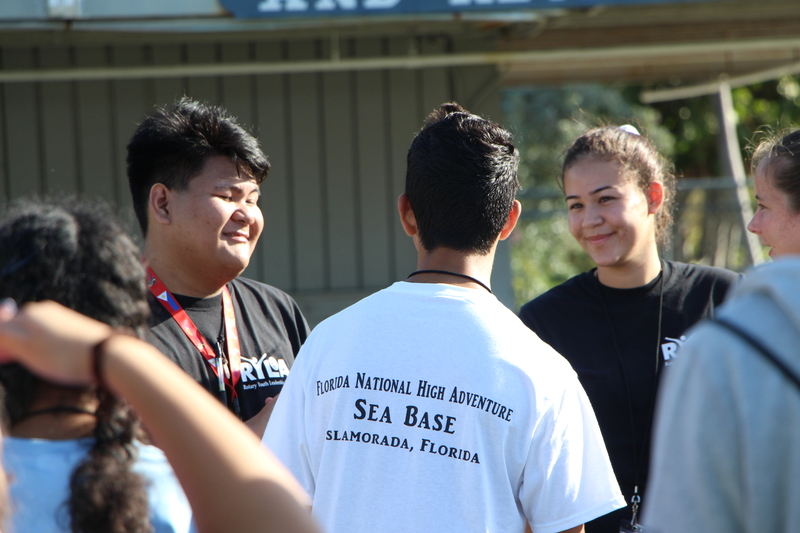 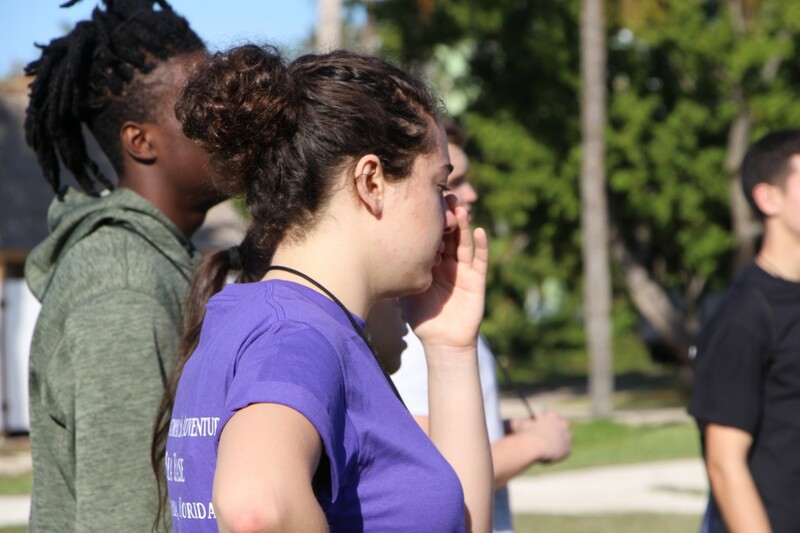 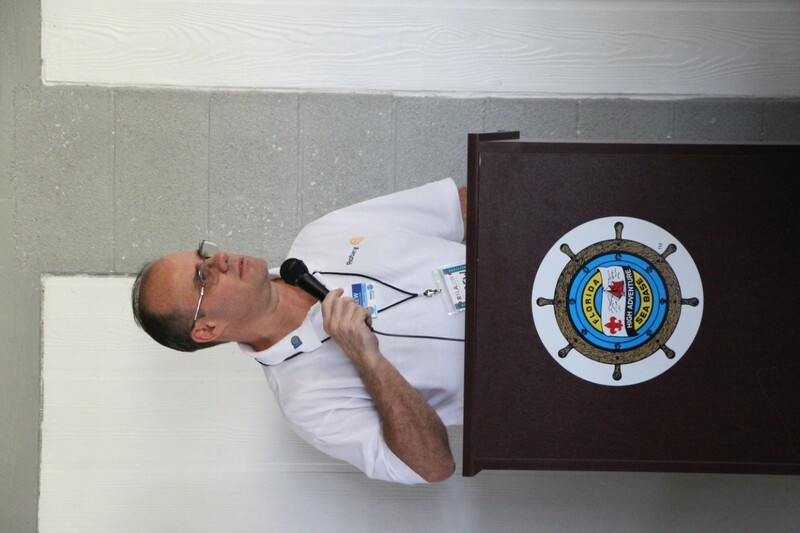 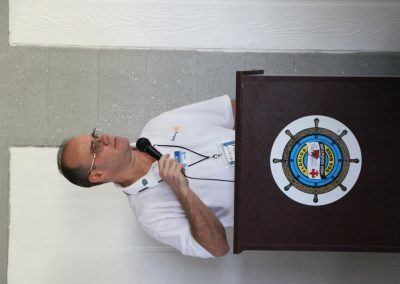 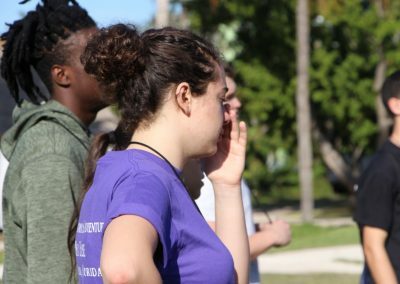 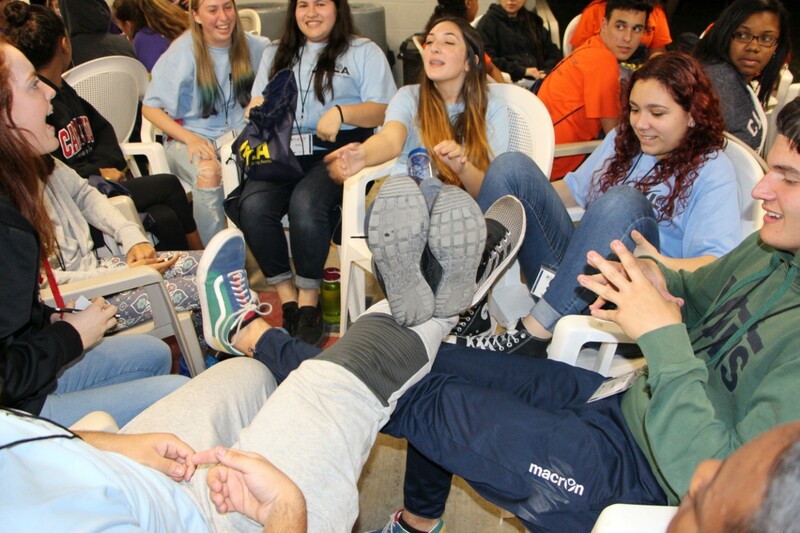 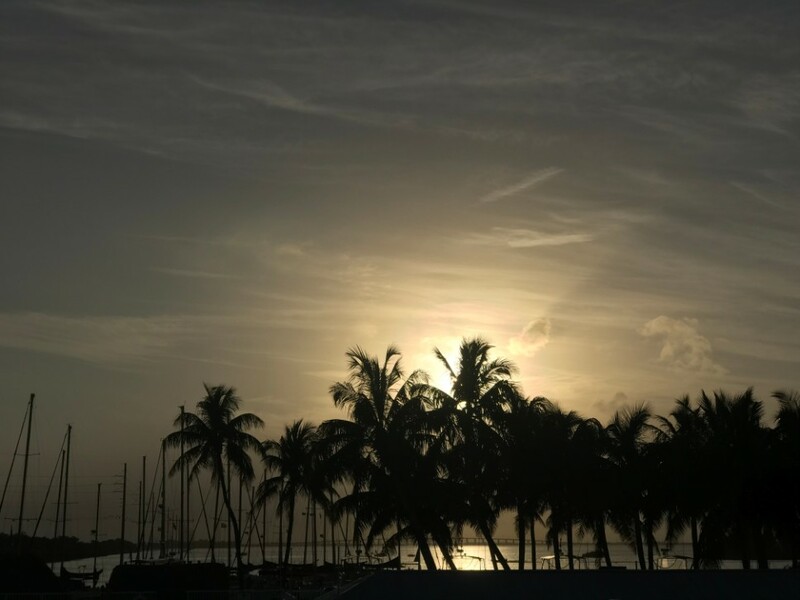 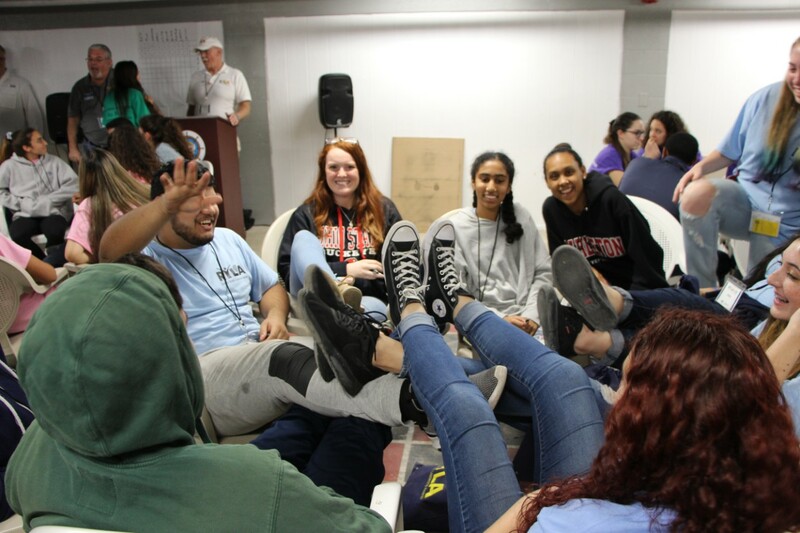 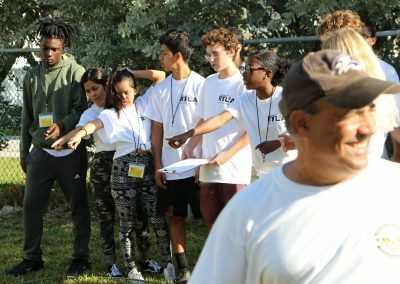 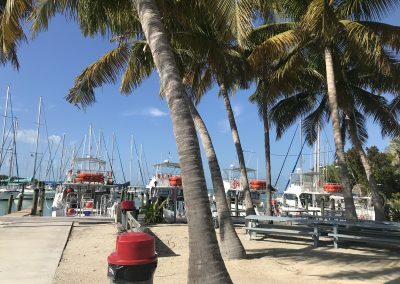 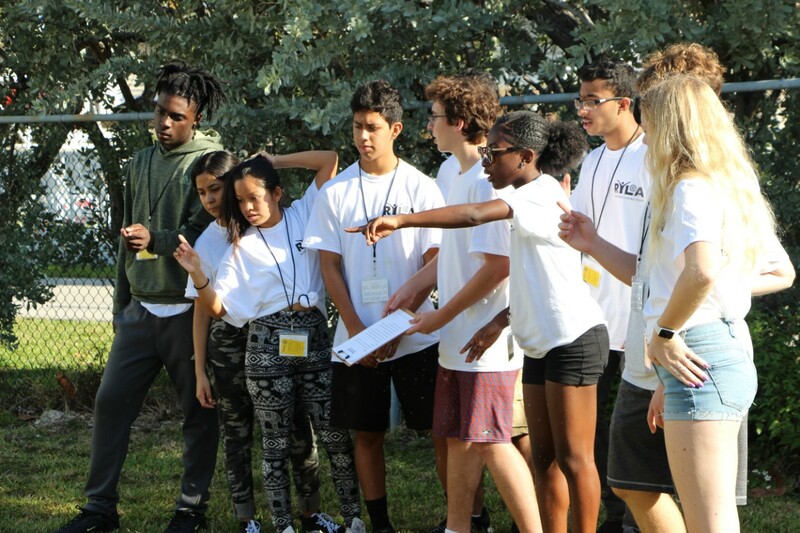 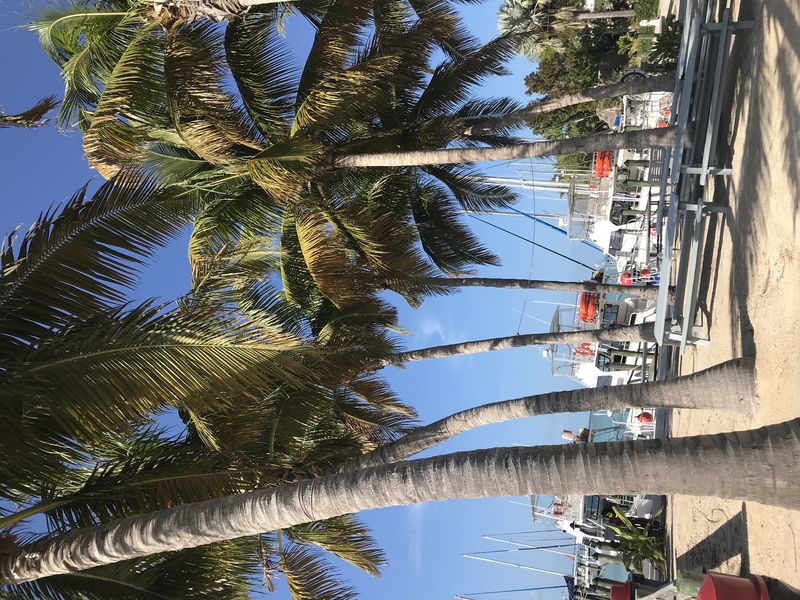 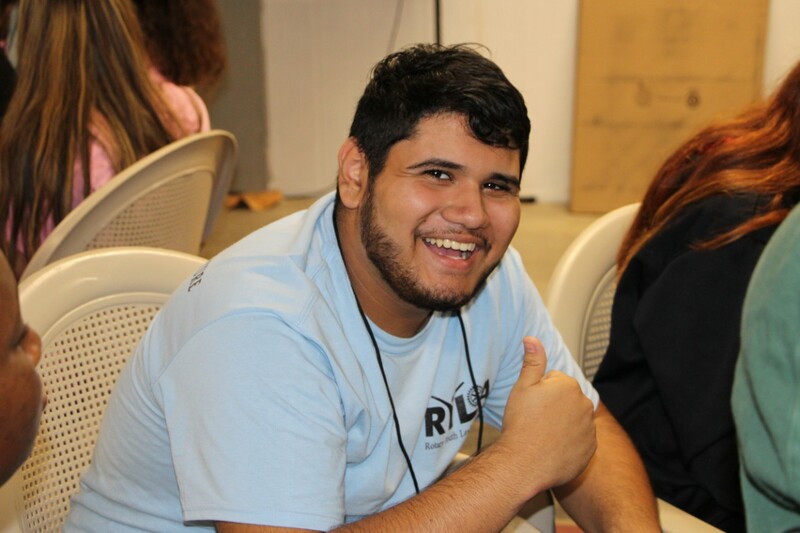 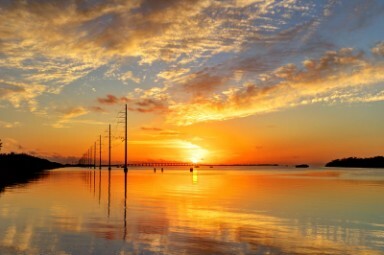 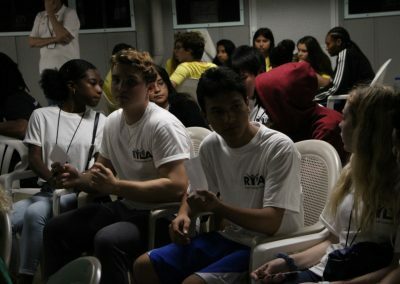 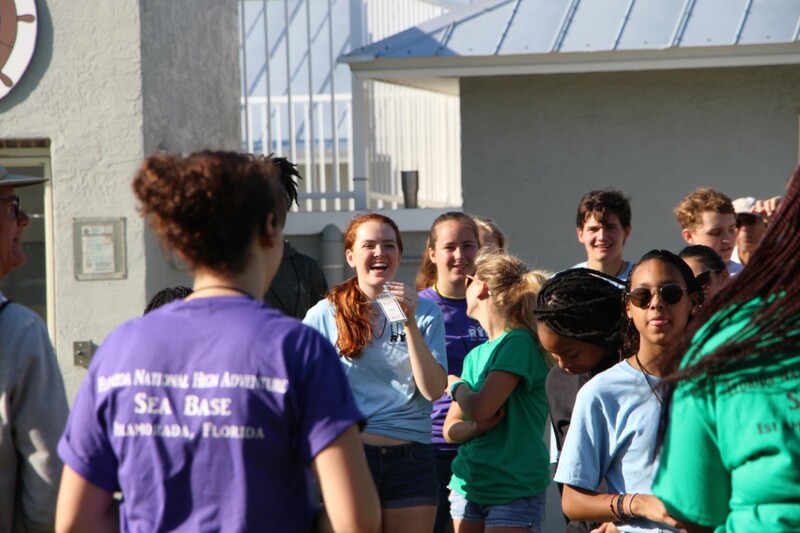 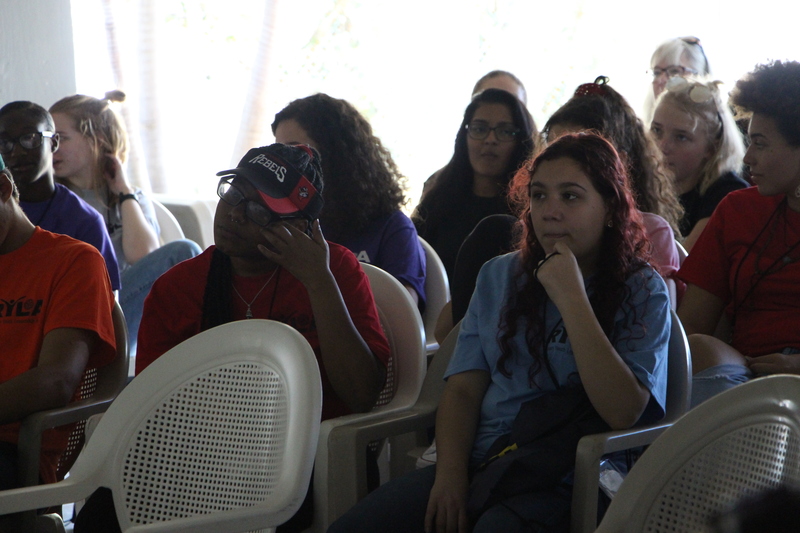 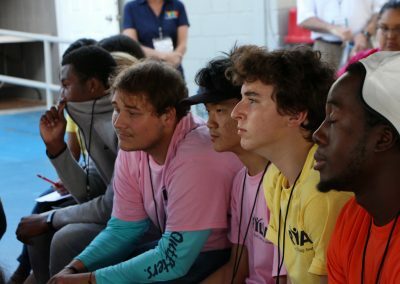 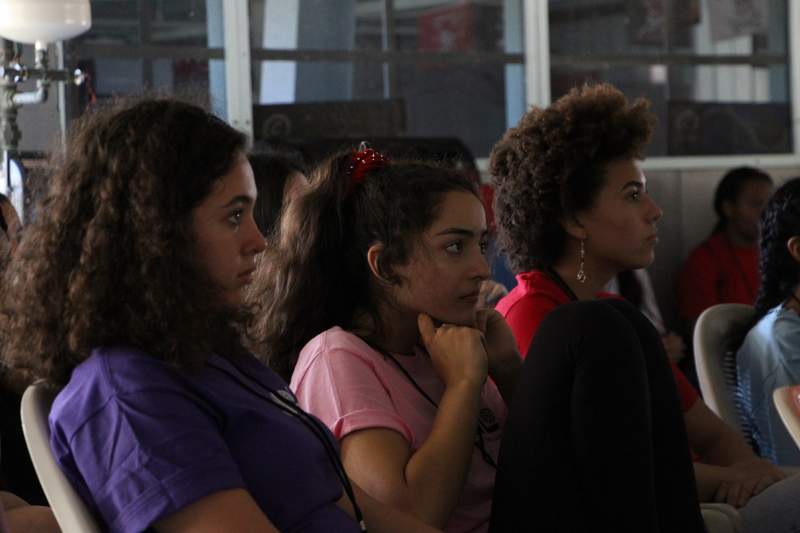 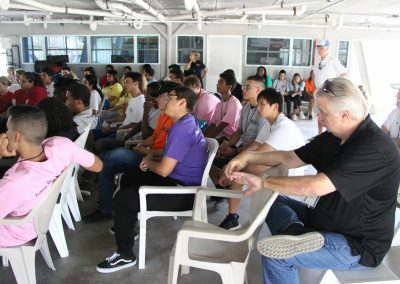 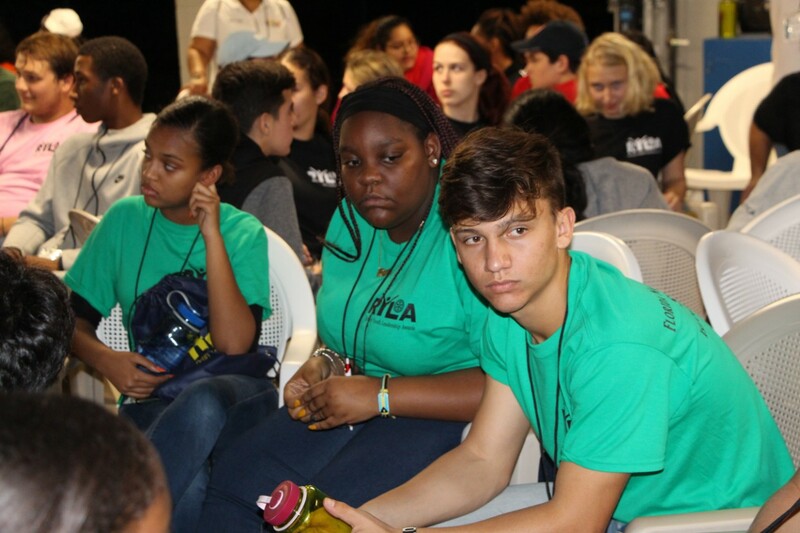 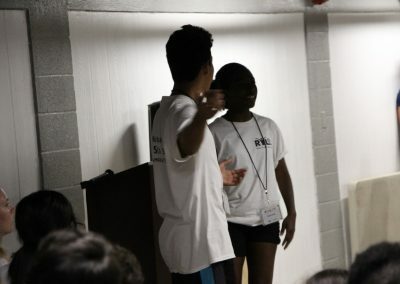 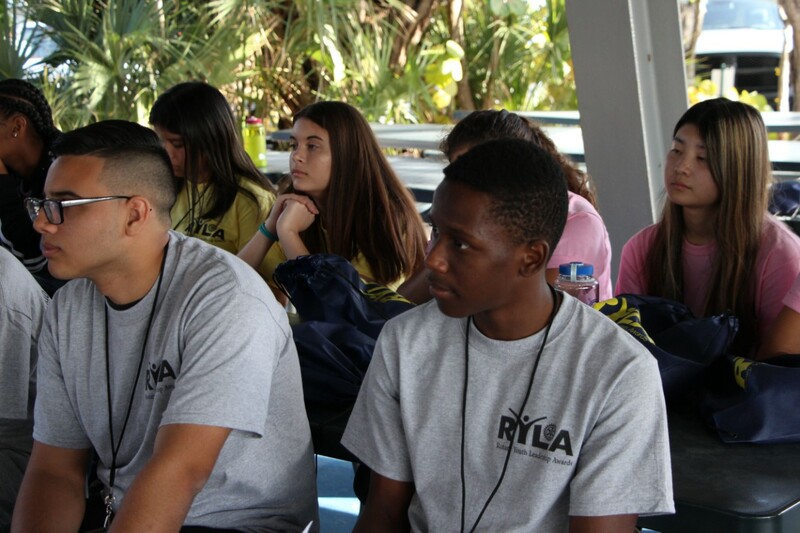 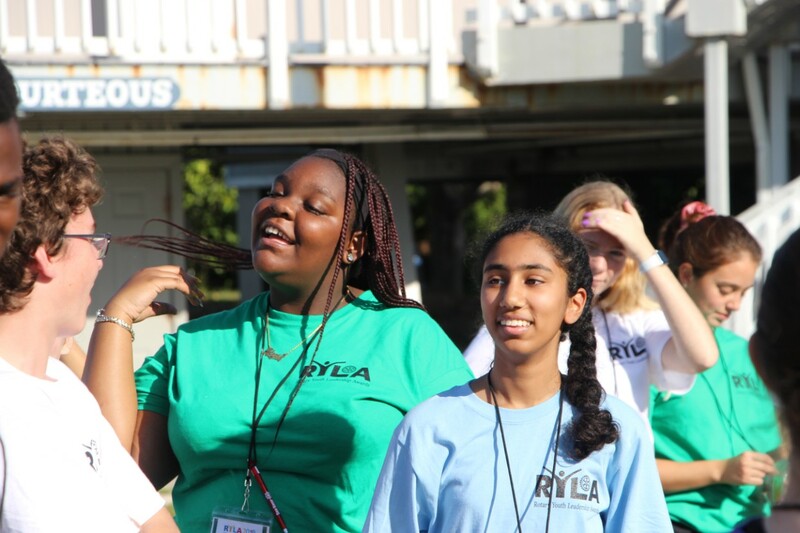 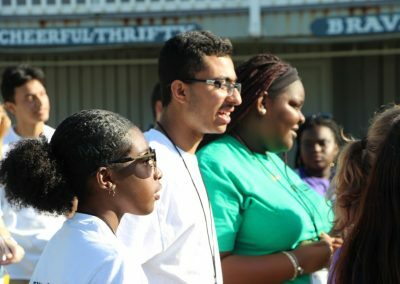 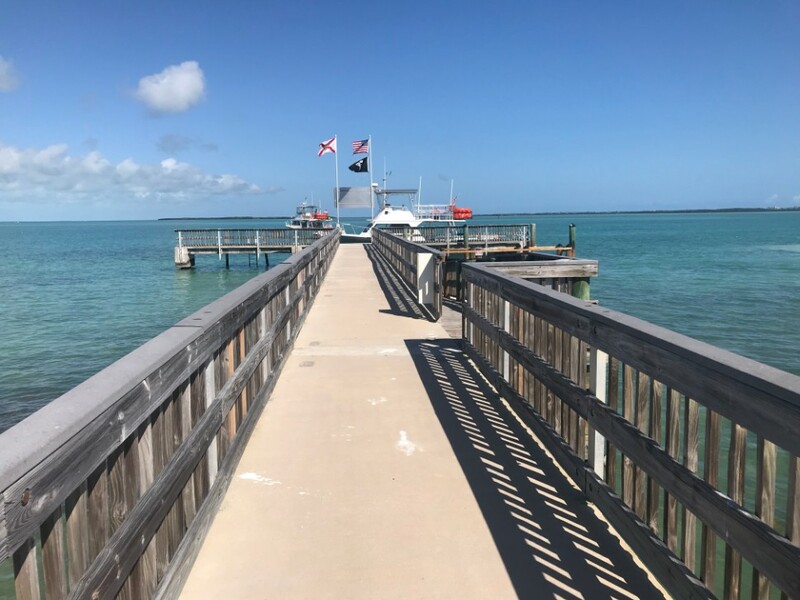 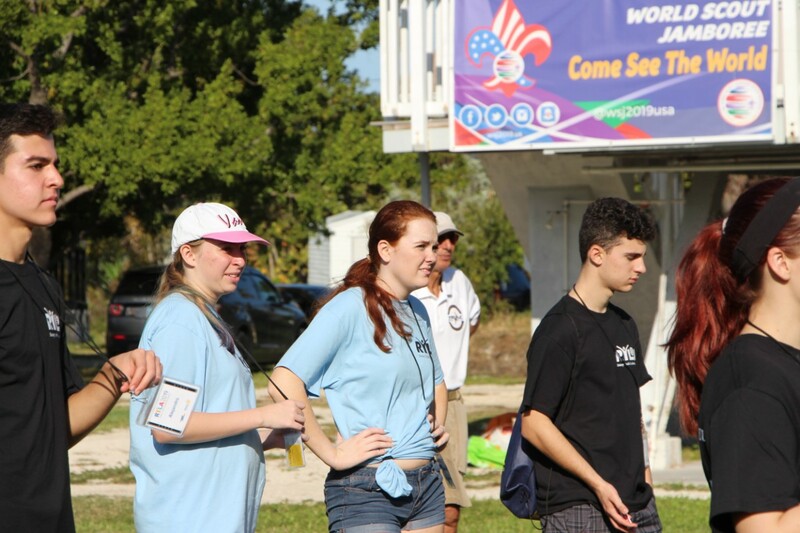 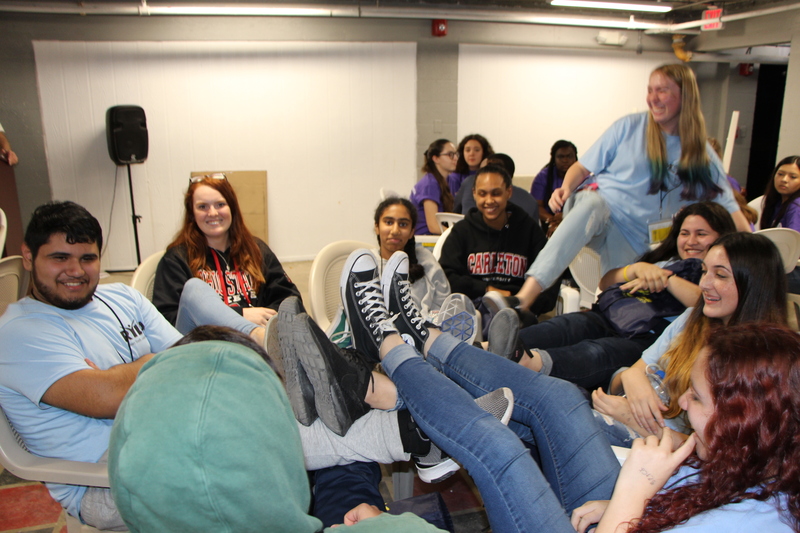 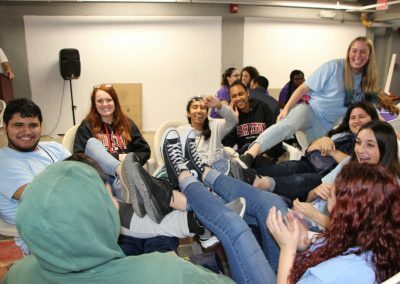 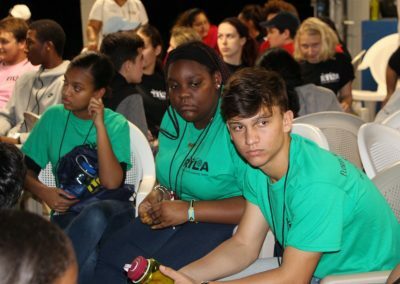 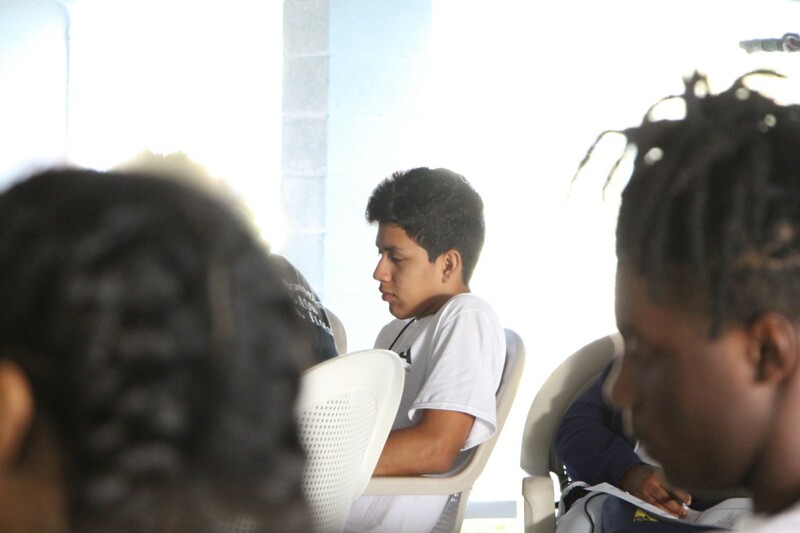 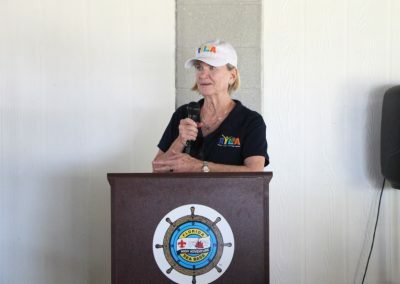 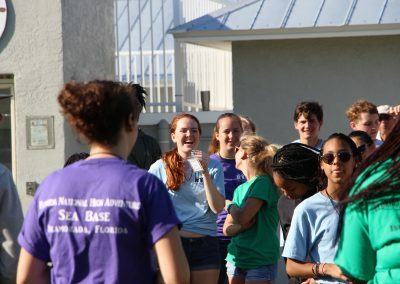 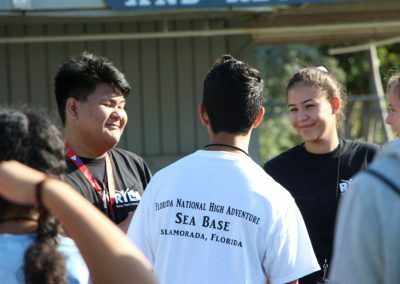 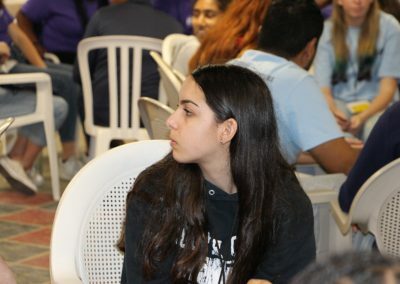 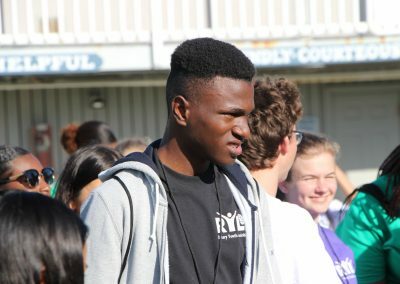 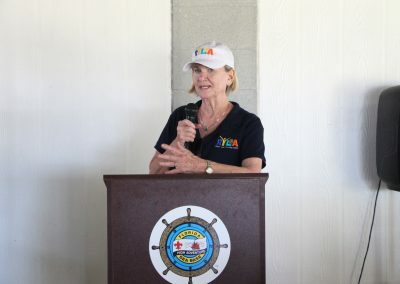 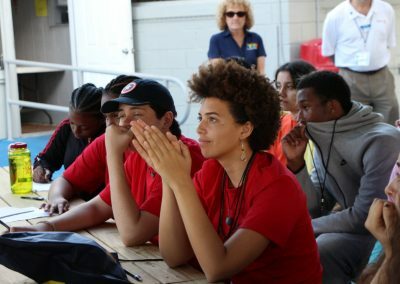 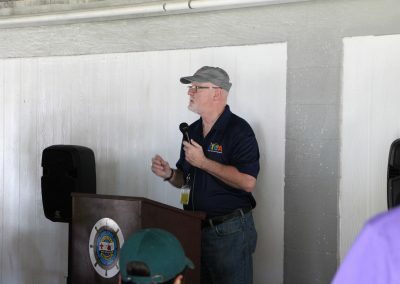 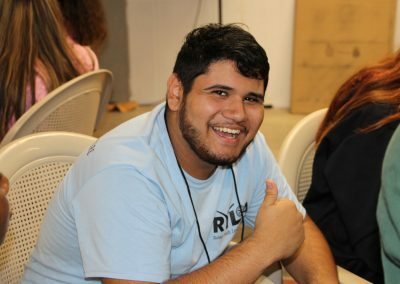 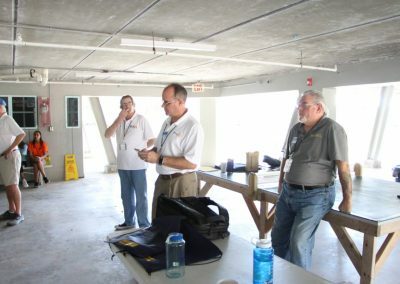 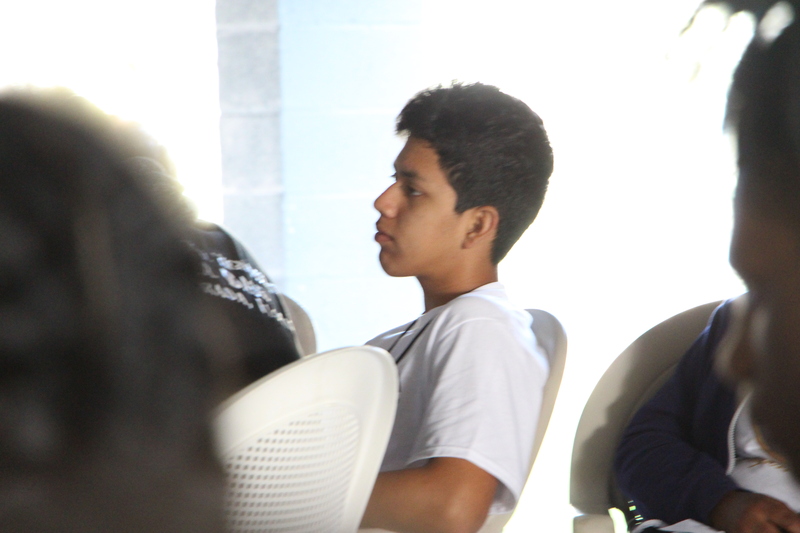 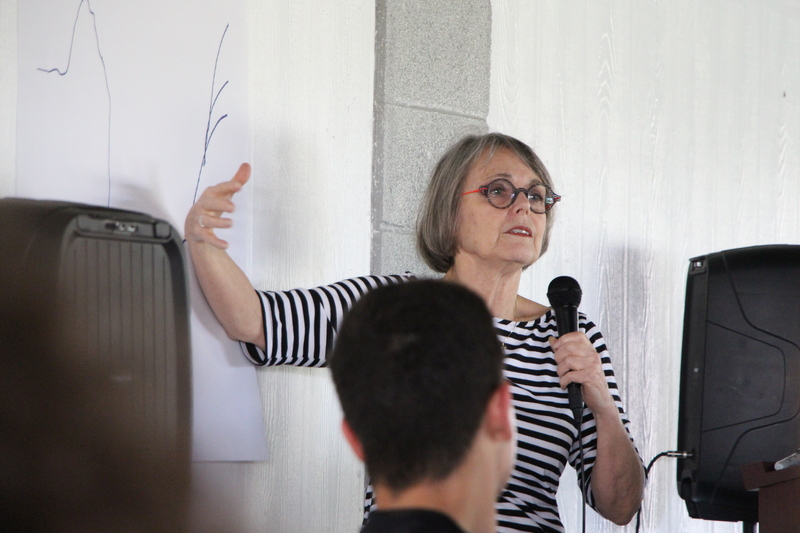 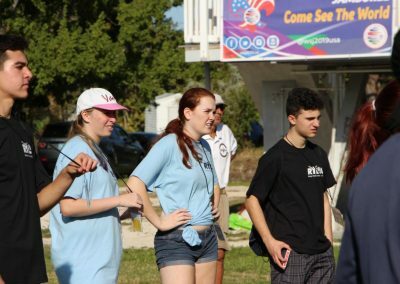 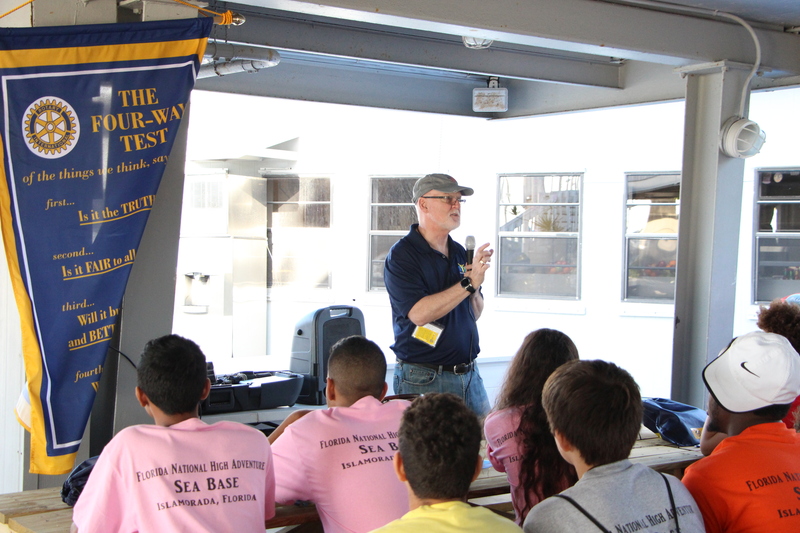 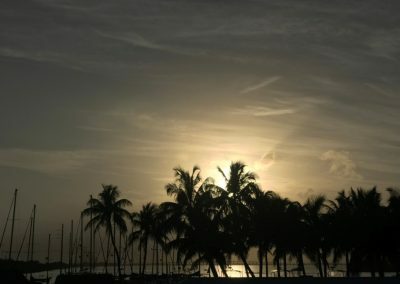 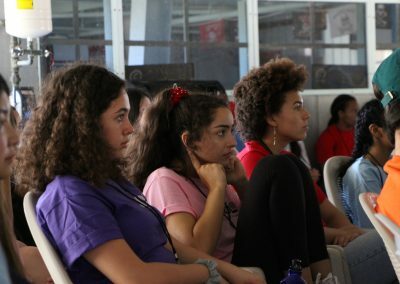 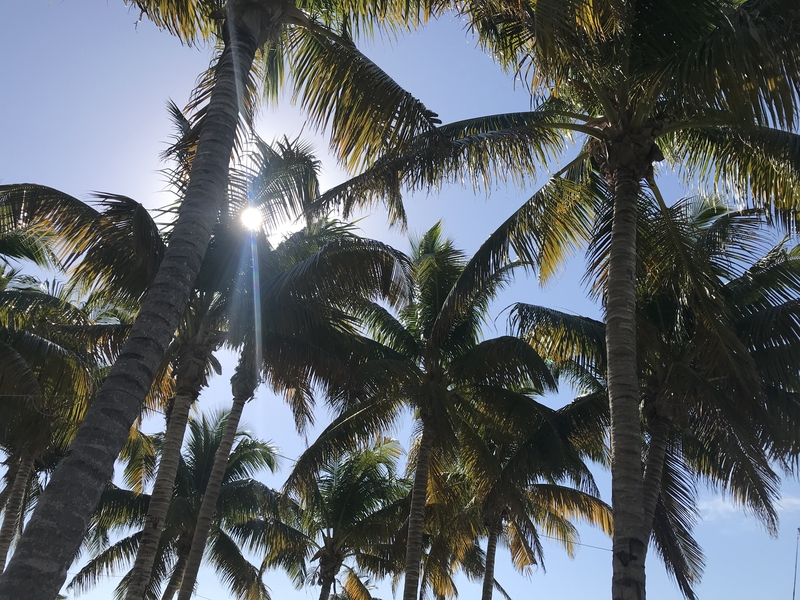 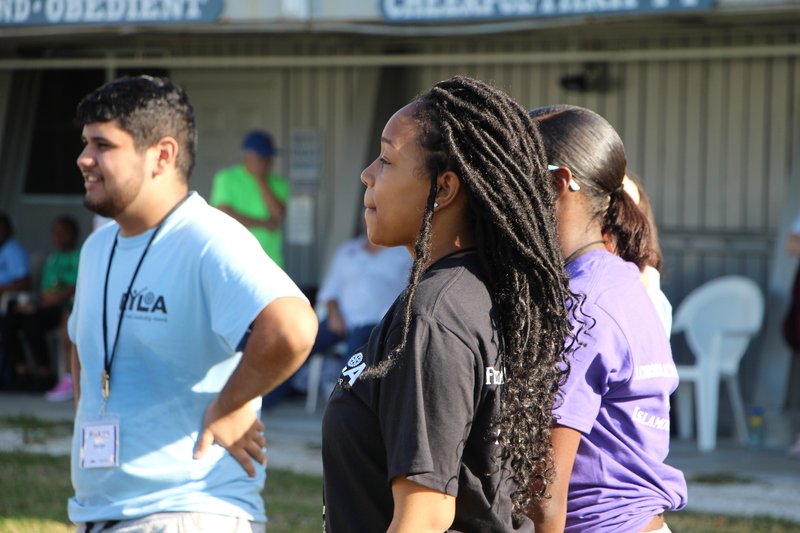 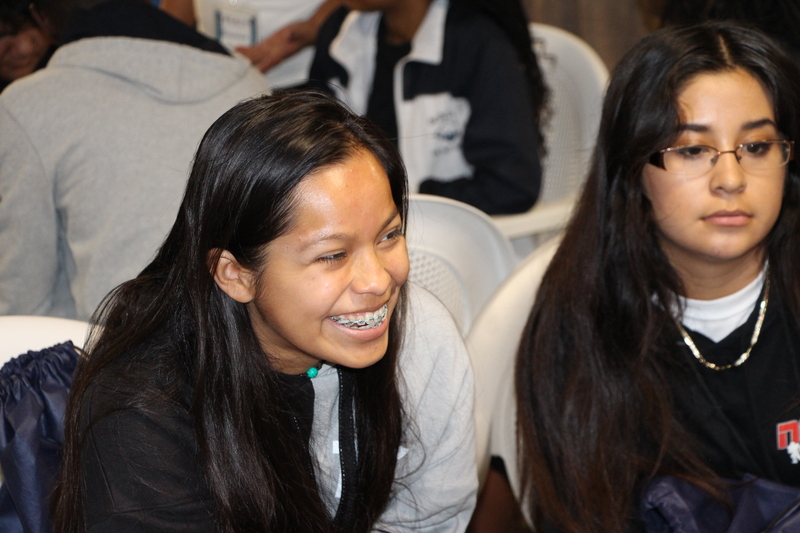 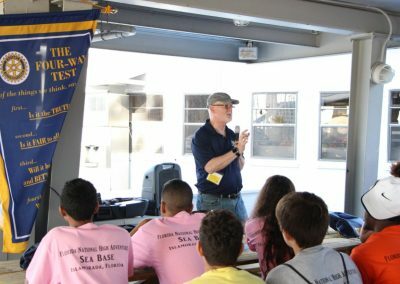 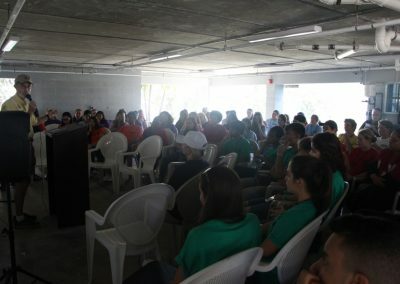 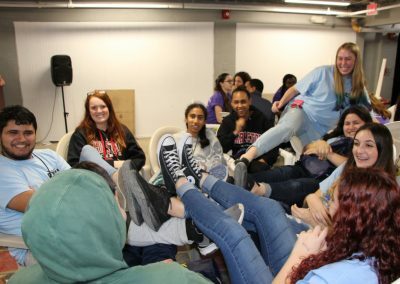 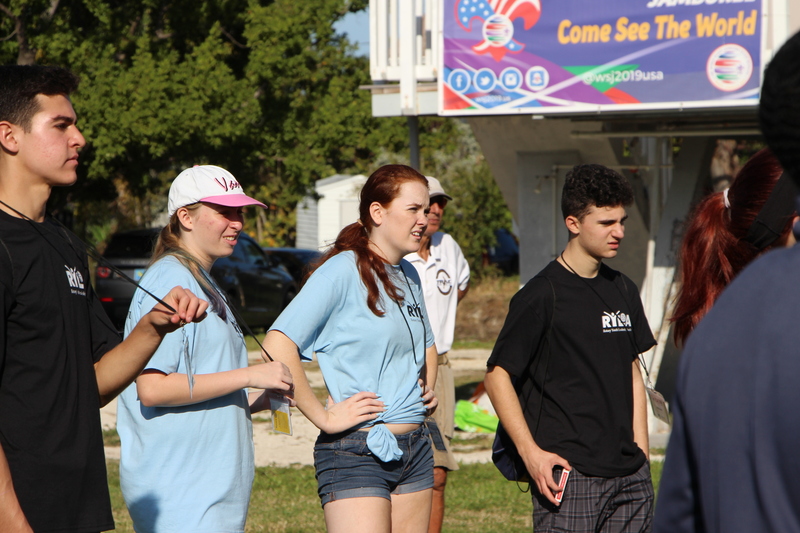 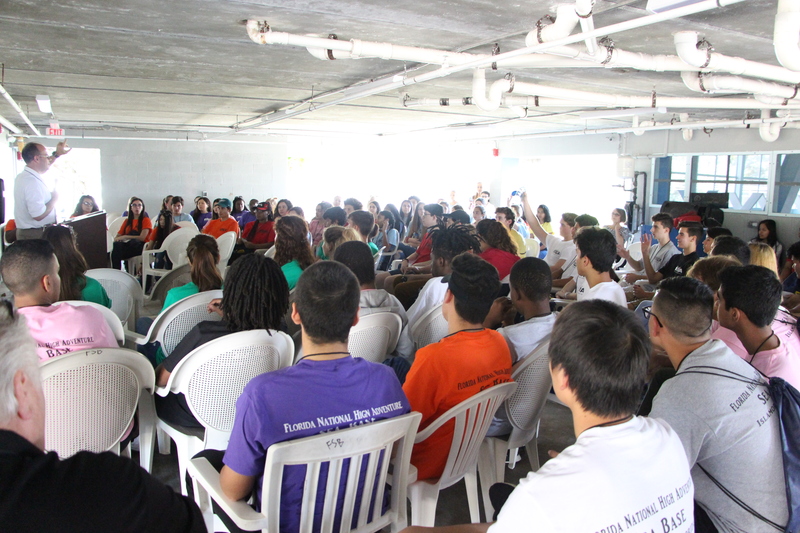 In early February, approximately 100 students from high schools in Broward, Miami-Dade and Monroe Counties, and Grand Bahama Island gathered at Florida National High Adventure Sea Base camp on Islamorada in the Florida Keys for seminars and activities on ethics, problem-solving, leadership, project planning, school violence and bullying issues, communication and teamwork. 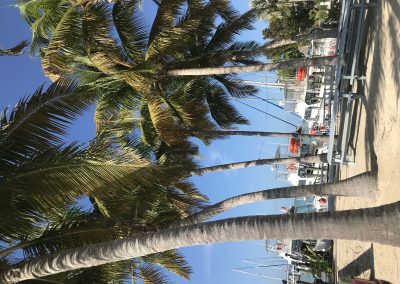 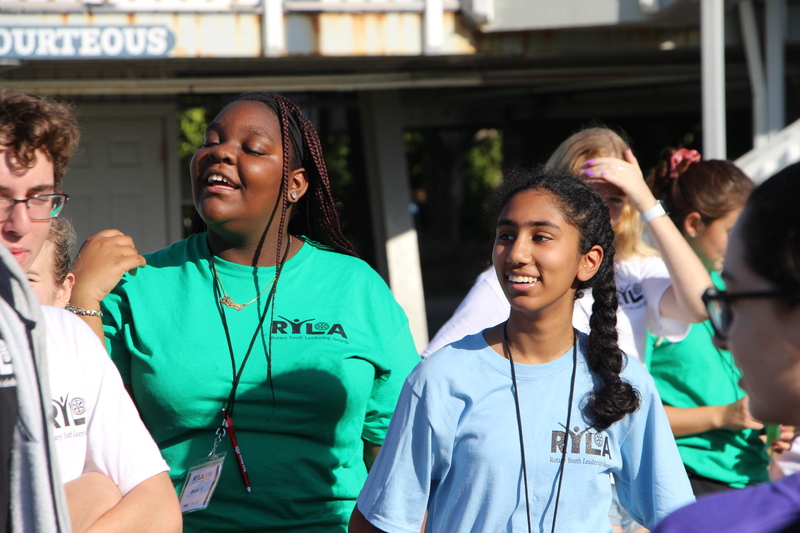 The weather was perfect for plenty of fun, too, including a ground-level ropes course and a boat trip. 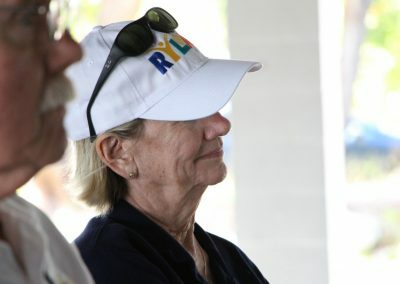 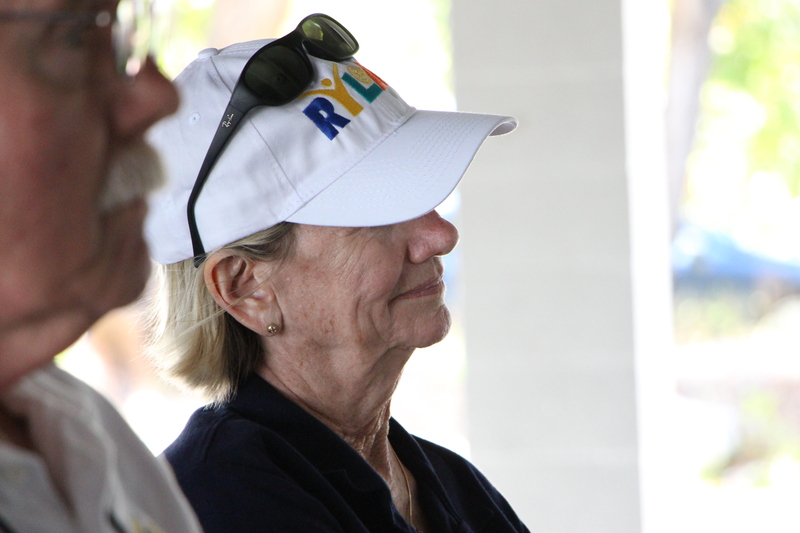 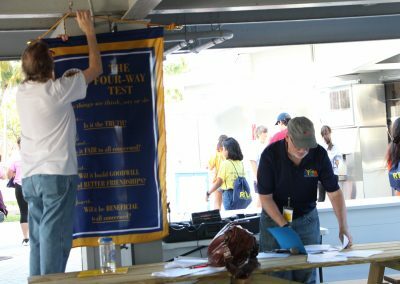 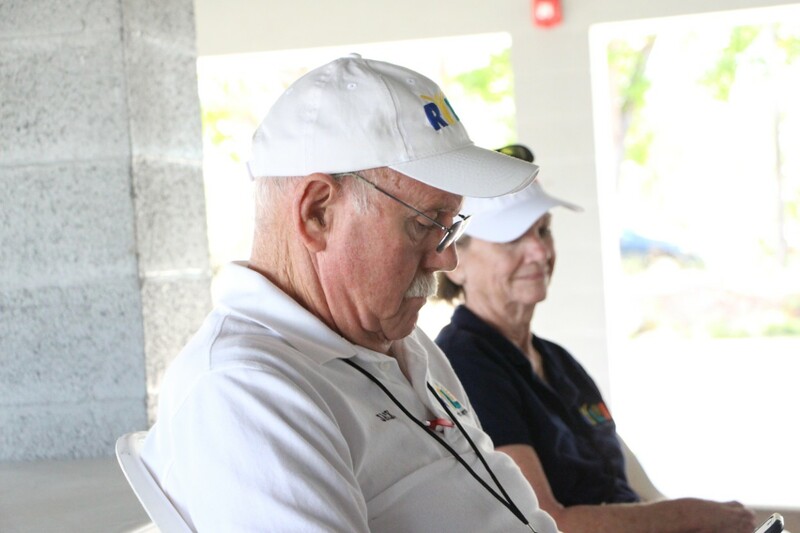 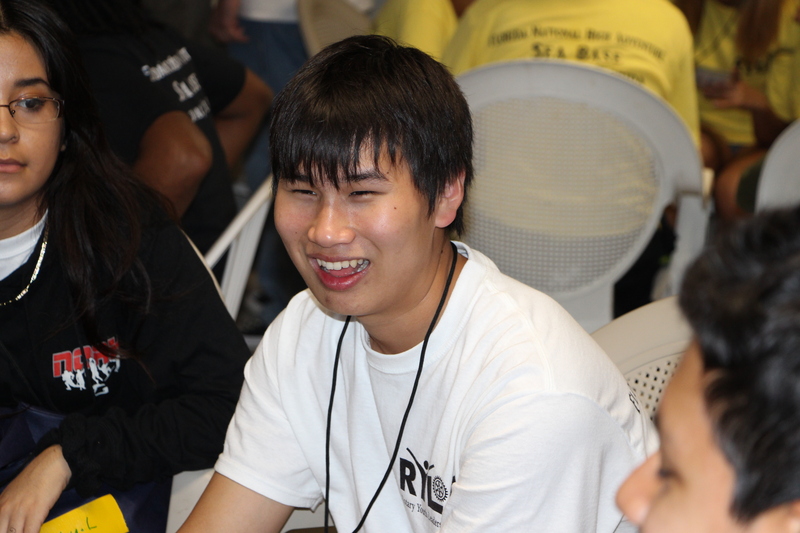 Rotarian volunteers chaperoned and acted as facilitators over the jam-packed, 3-day weekend. 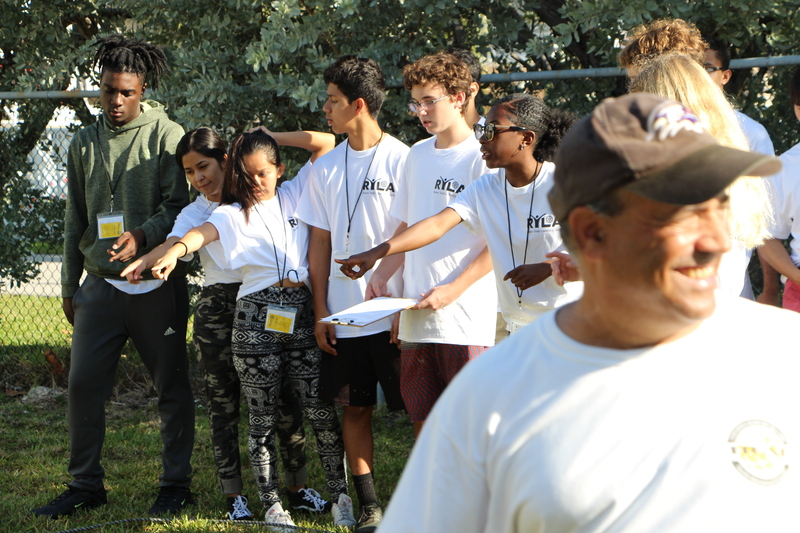 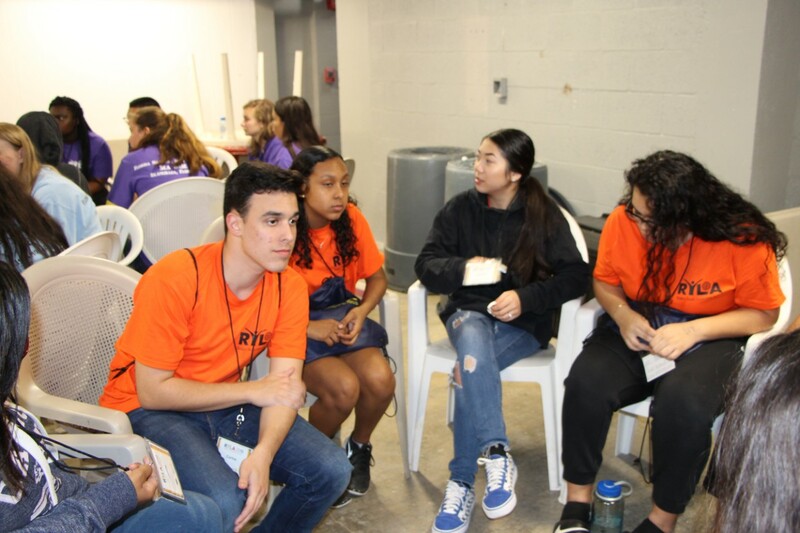 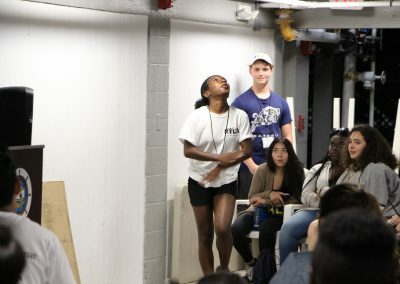 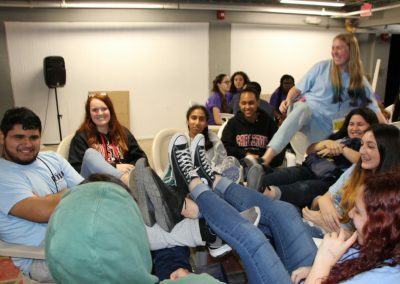 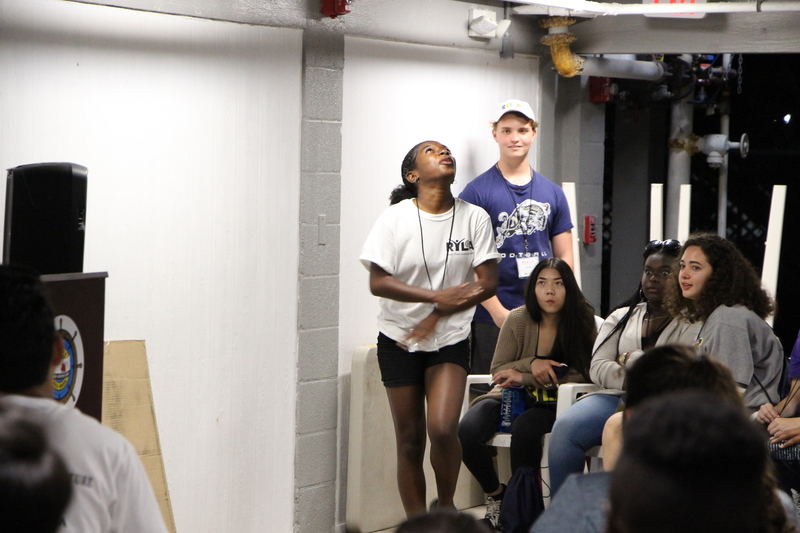 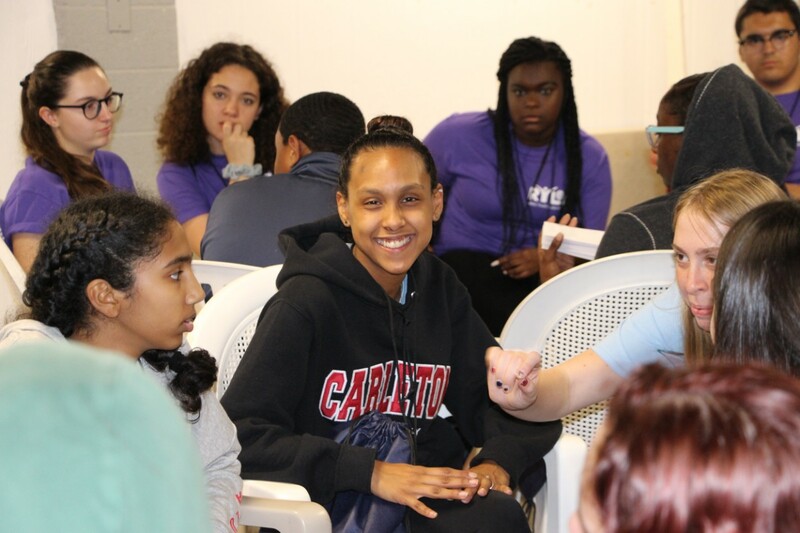 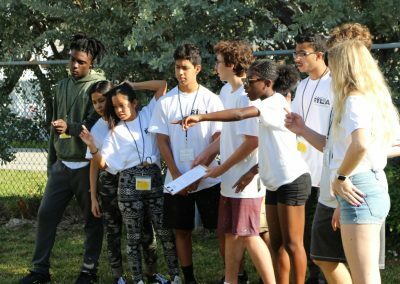 The students made new friends and learned more about their own interests and capabilities while figuring out how to protect a raw egg on a 20-foot drop, writing and performing skits, and planning a community service project in groups divided by color. 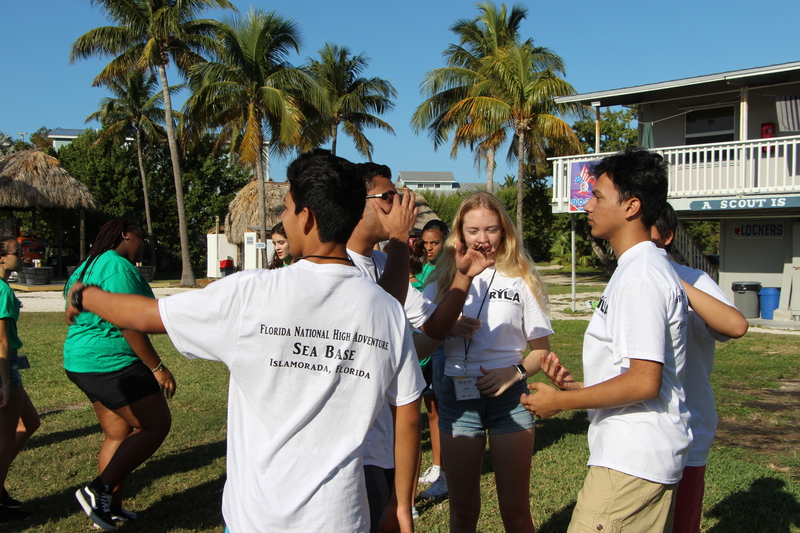 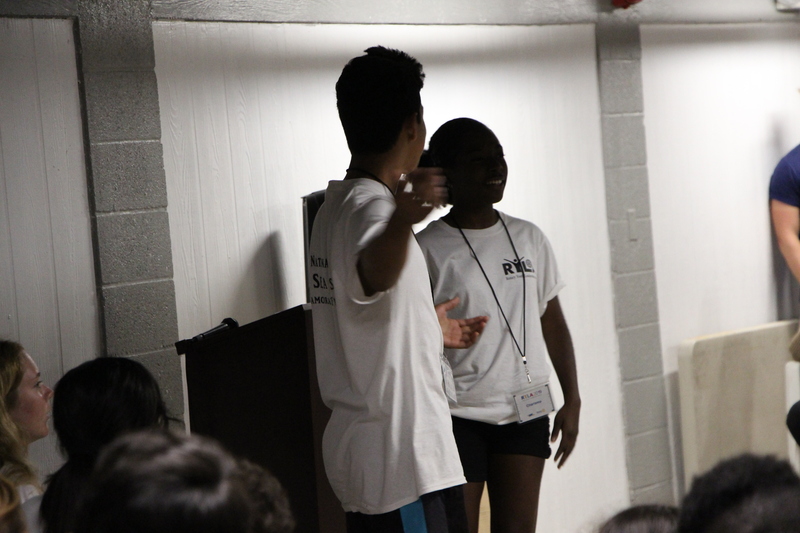 Friendly competition fueled the fun as the teens participated in largely self-directed exercises. 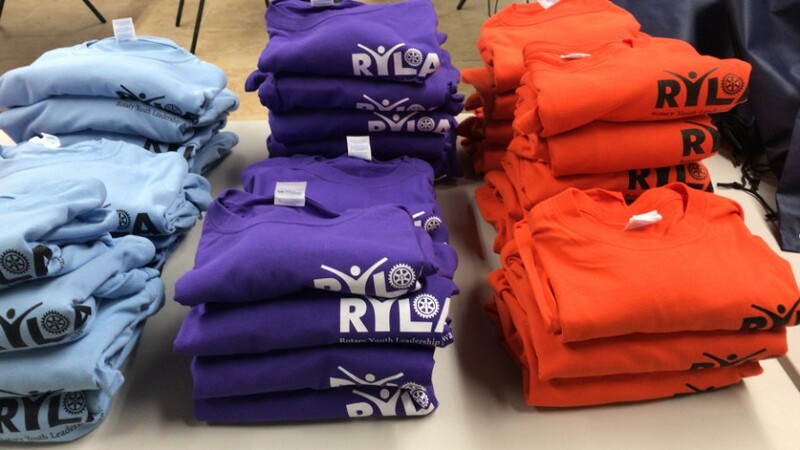 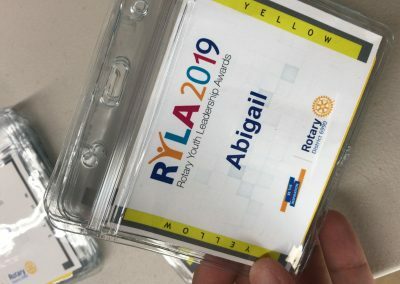 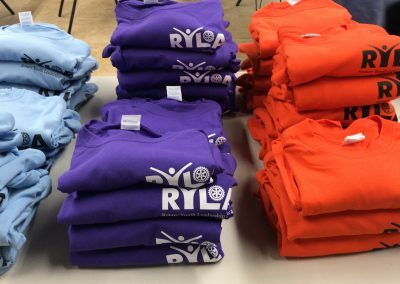 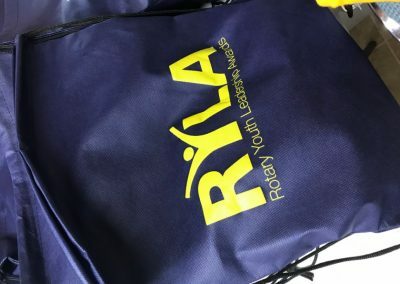 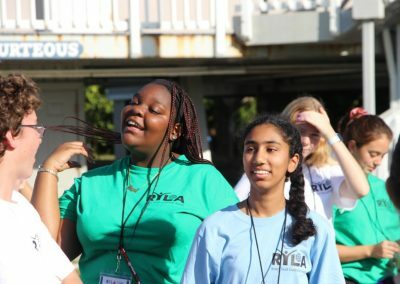 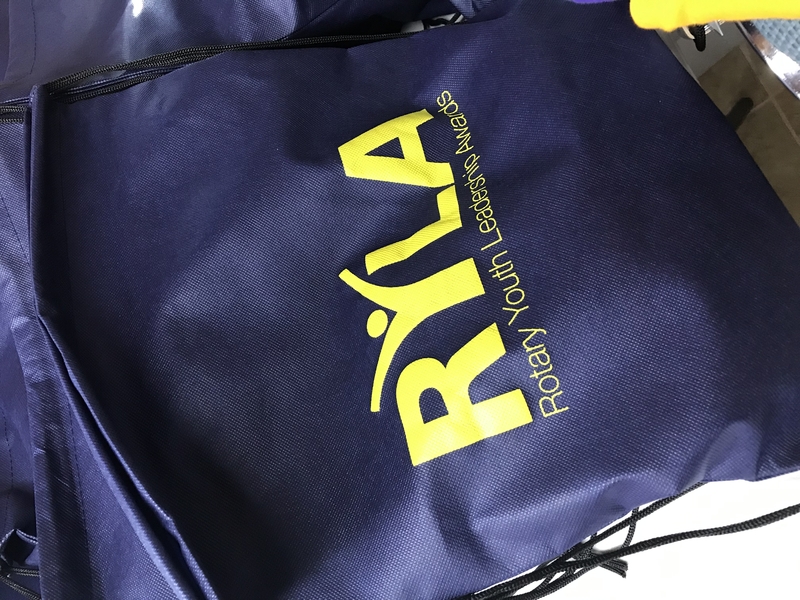 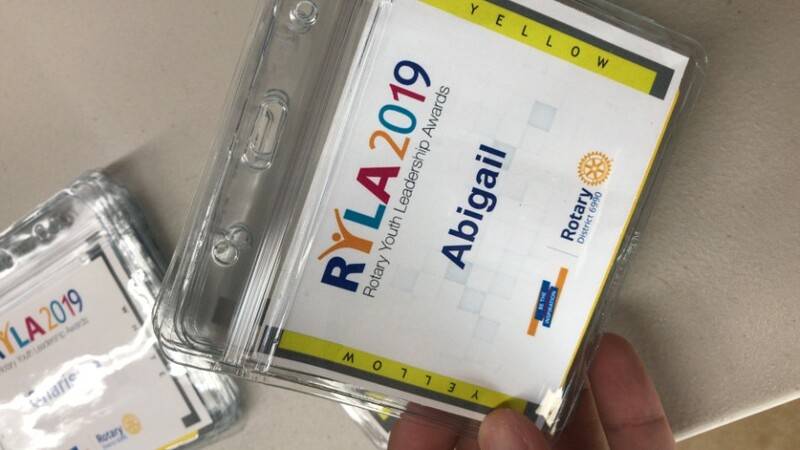 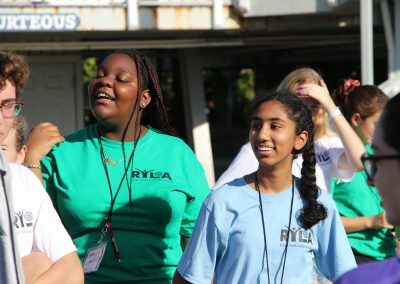 Applications for RYLA 2020 will be taken in the fall of 2019 through local Rotary clubs. 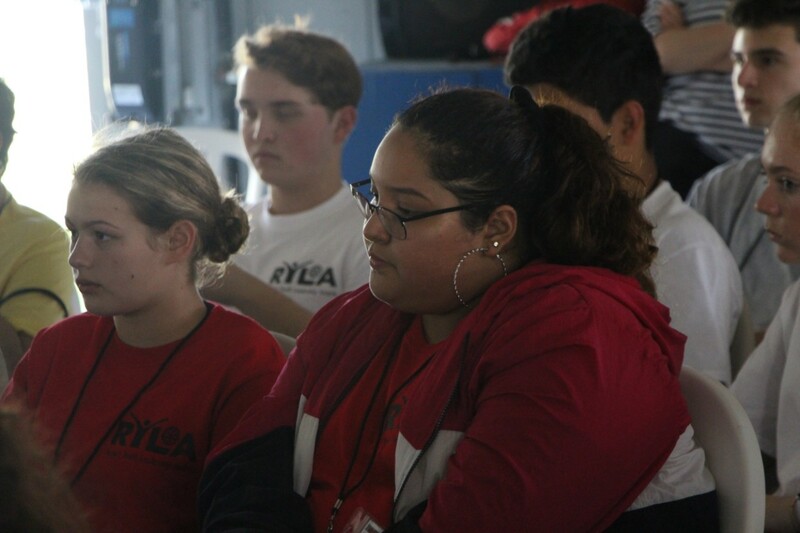 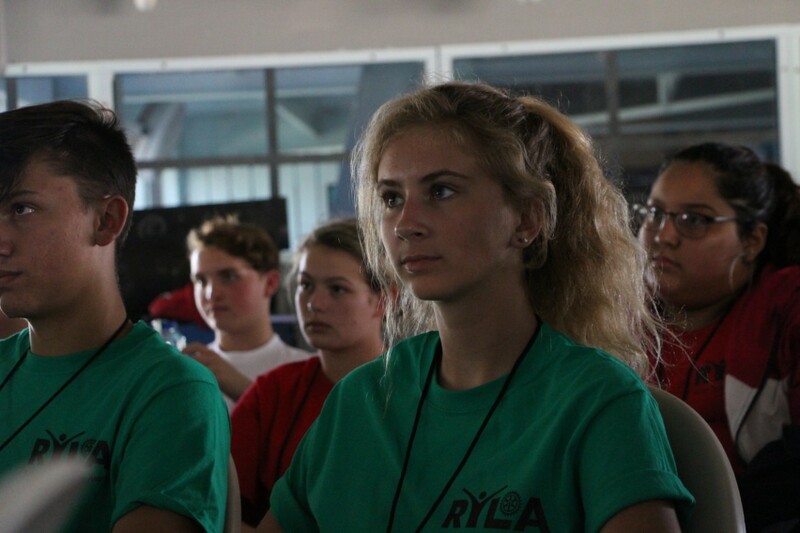 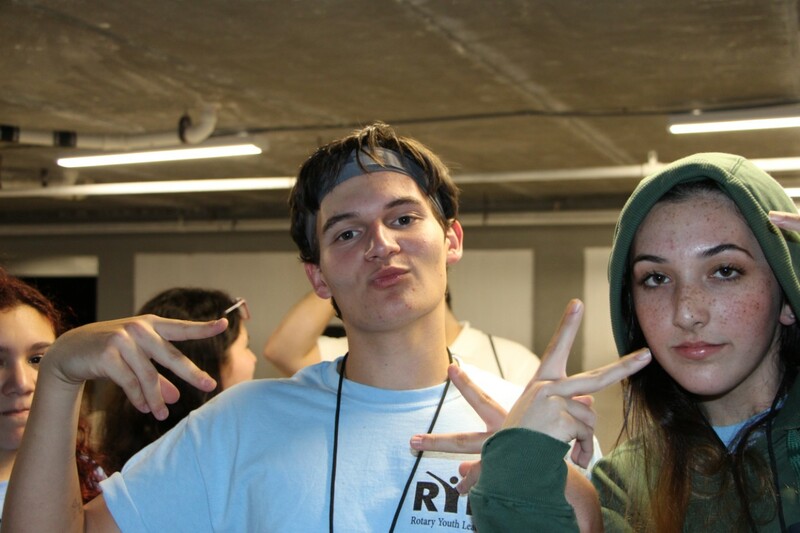 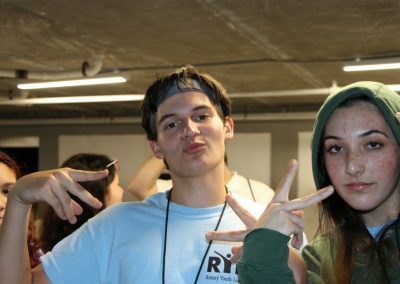 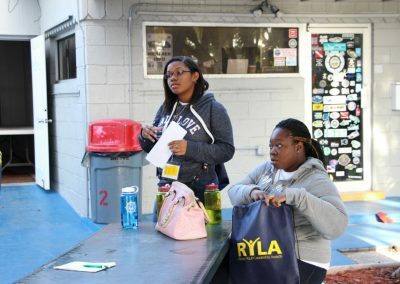 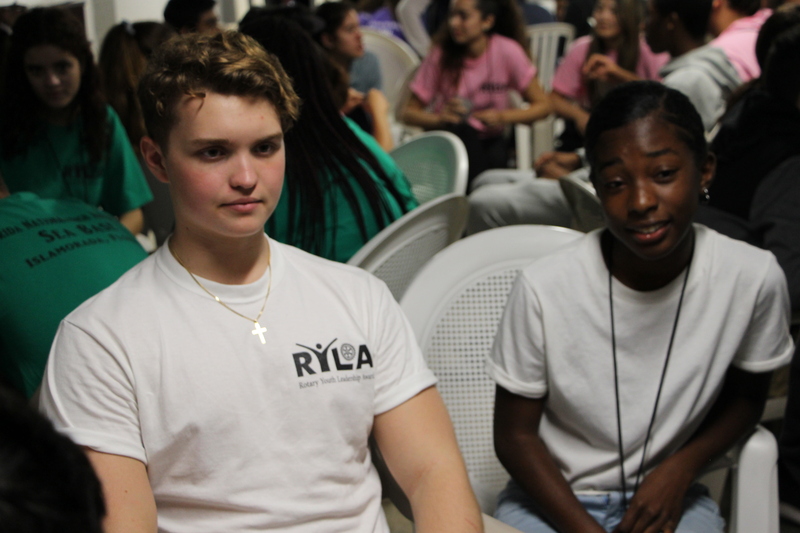 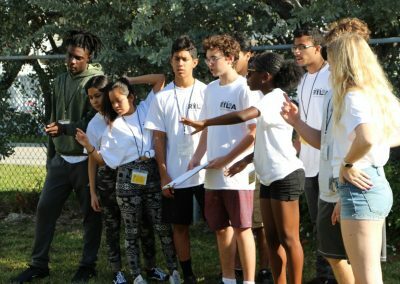 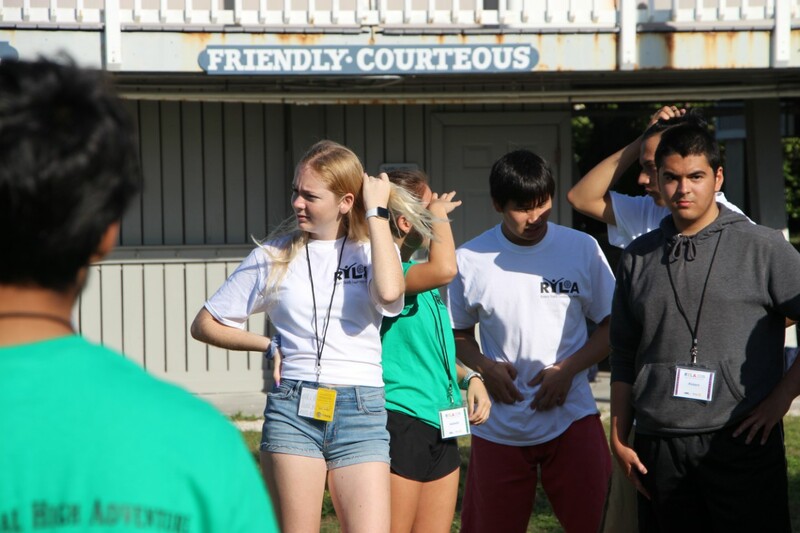 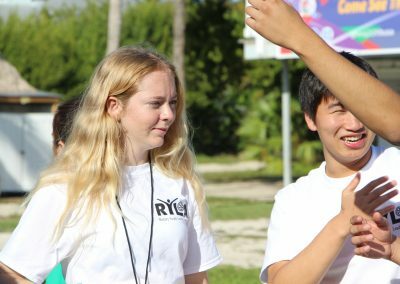 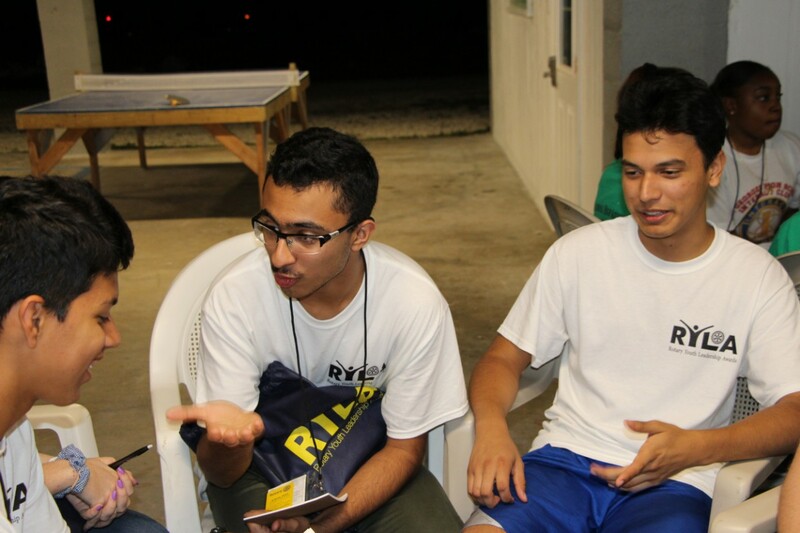 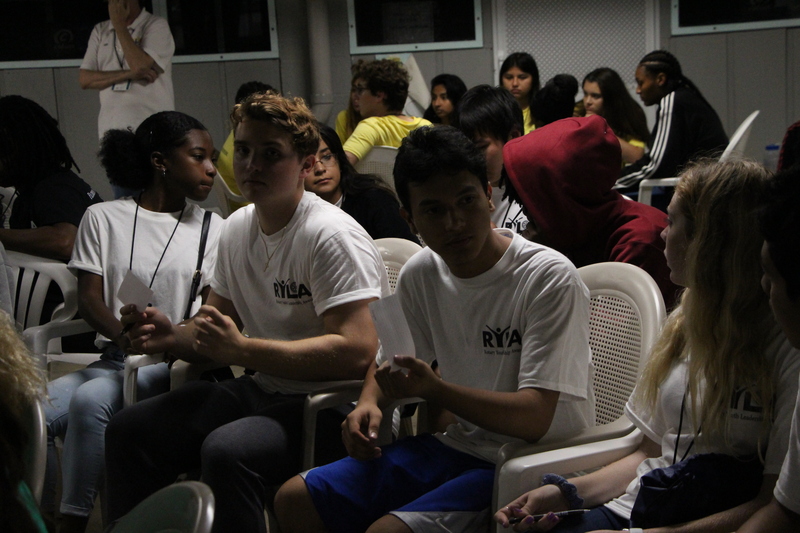 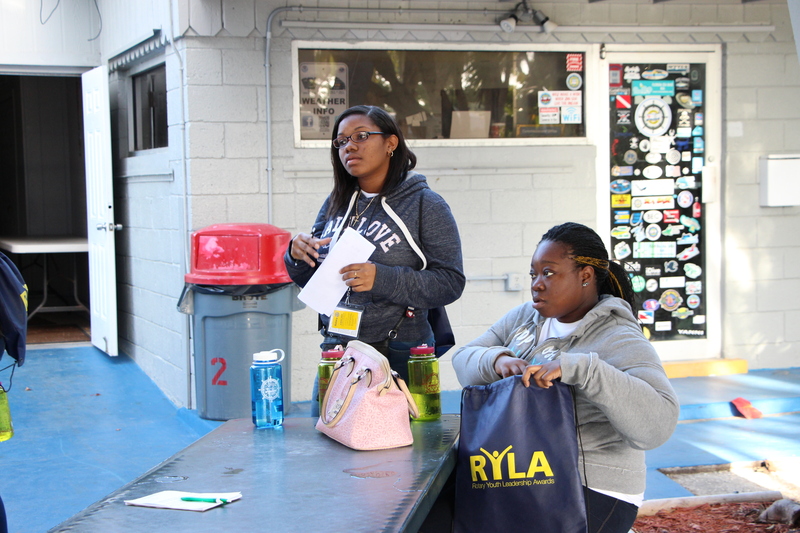 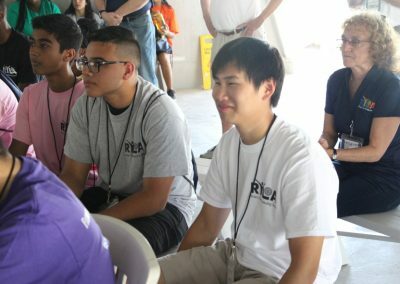 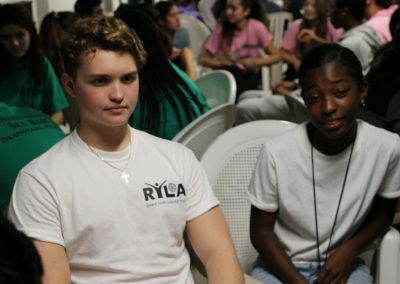 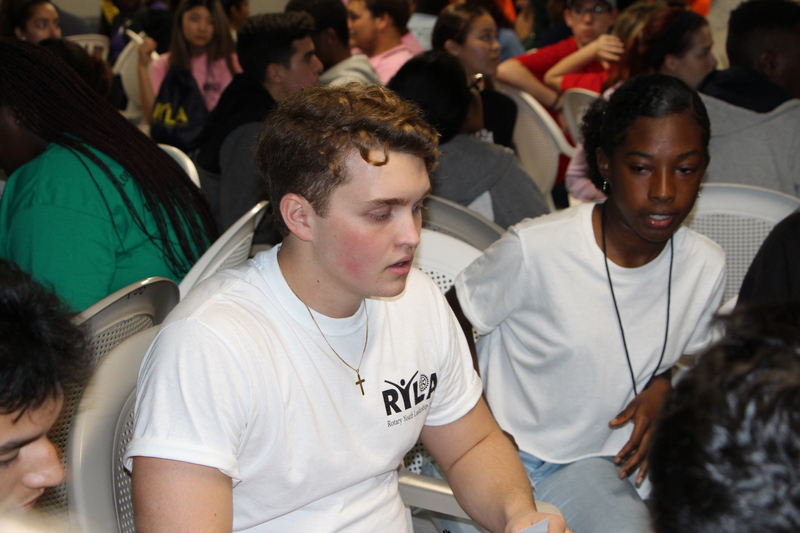 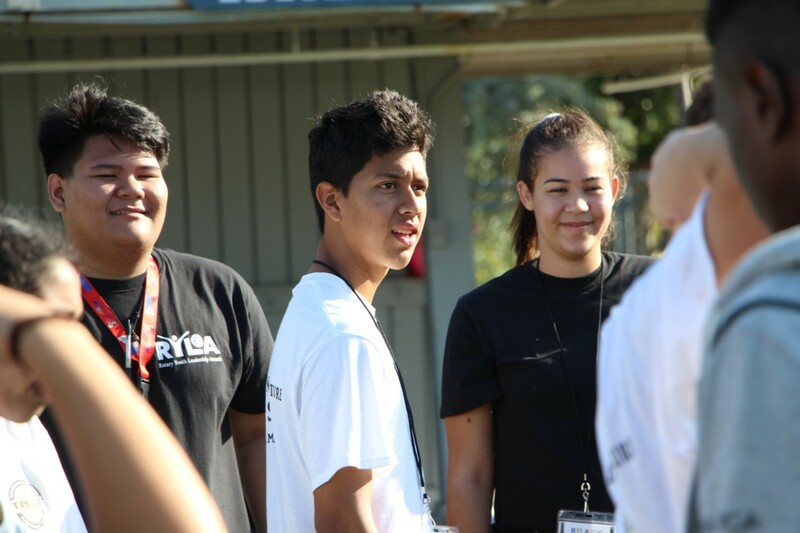 For a brief overview of the experience, search YouTube for “District 6990 – The RYLA Experience” and visit https://ryla.rotary6990youth.org for pictures, videos and more information.